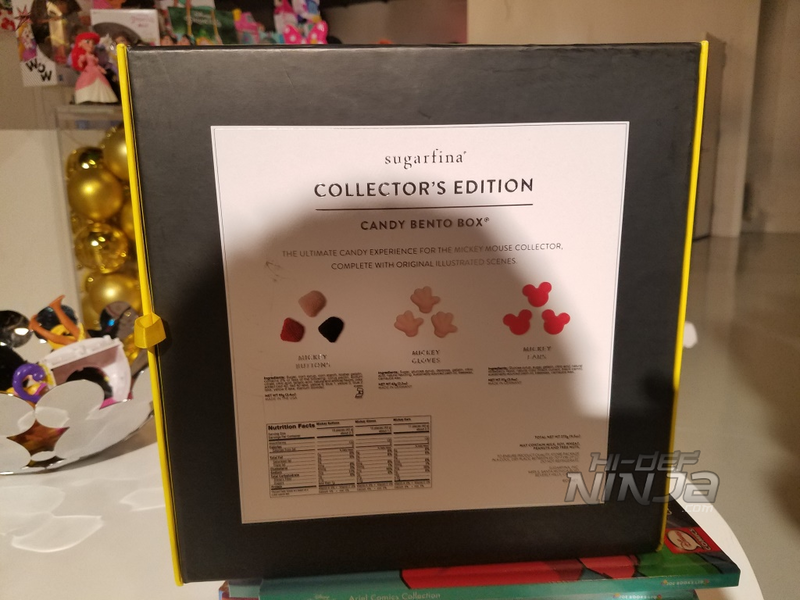 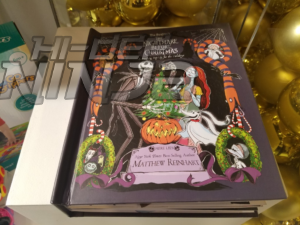 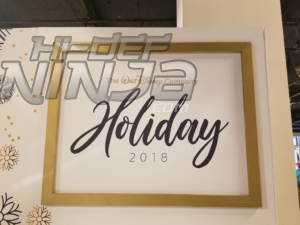 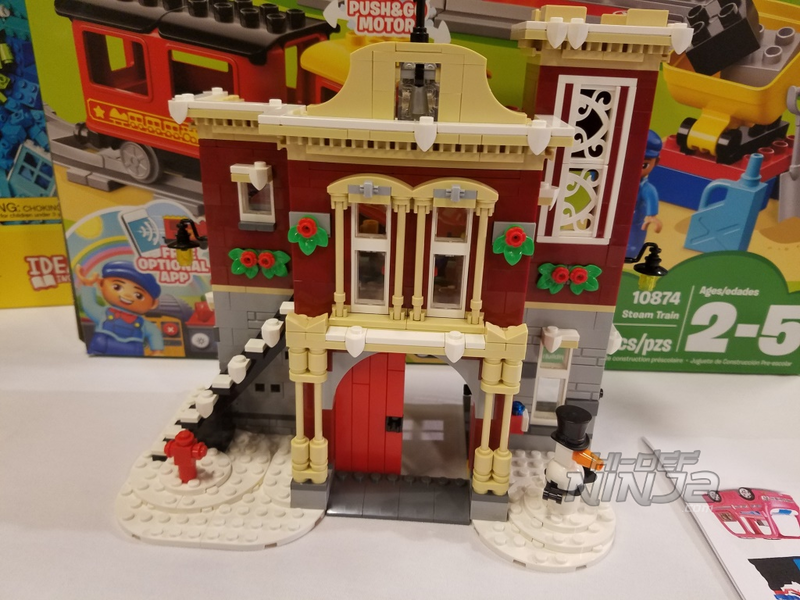 their top picks for the holiday season and brought some of the hottest names in the to show off their holiday products. The show followed the standard showcase format. 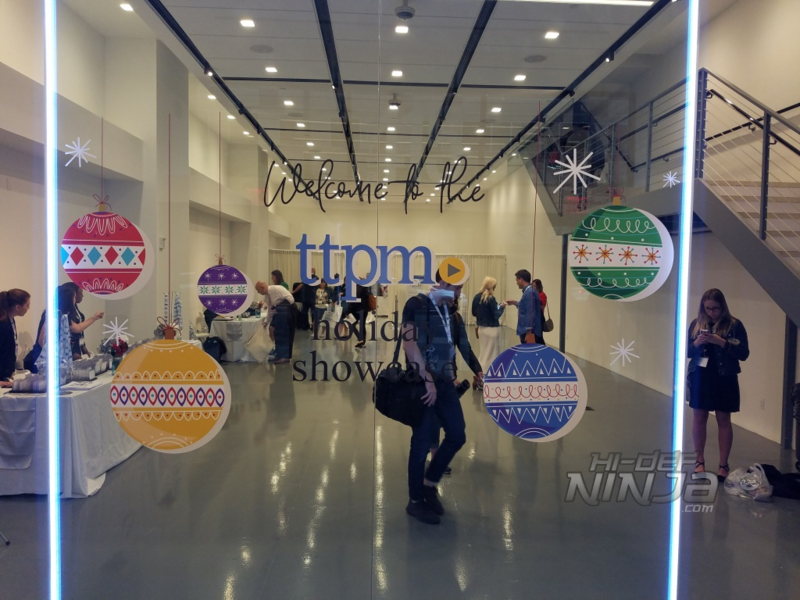 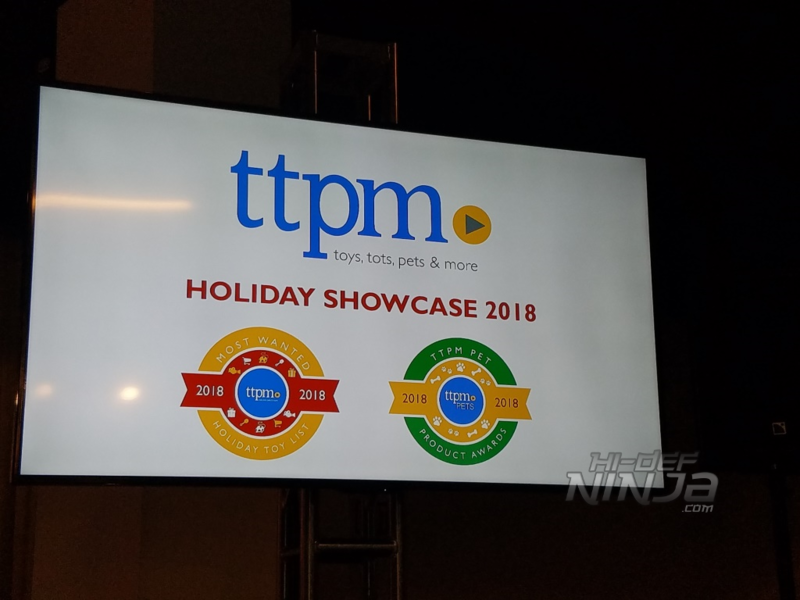 After starting off with an introduction by ttpm CEO Jim Silver going over trends in the industry they went into their top holiday picks. 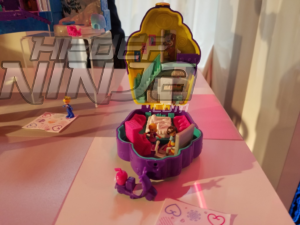 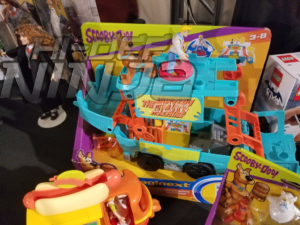 One think Jim emphasized is that with the closing of Toys R Us that shoppers should not wait for the last minute this holiday season for their shopping. 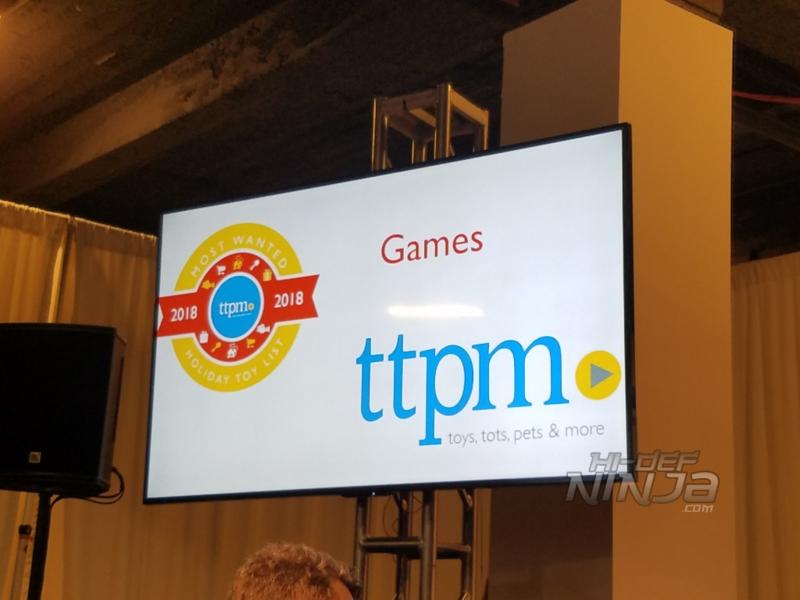 As normal ttpm only recommends items they have reviewed so if they did not get a sample of something and review it they would not be able to recommend it. Mattel, Spinmaster, Disney, Warner Bros, and more. 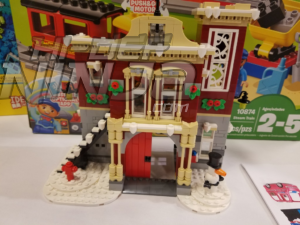 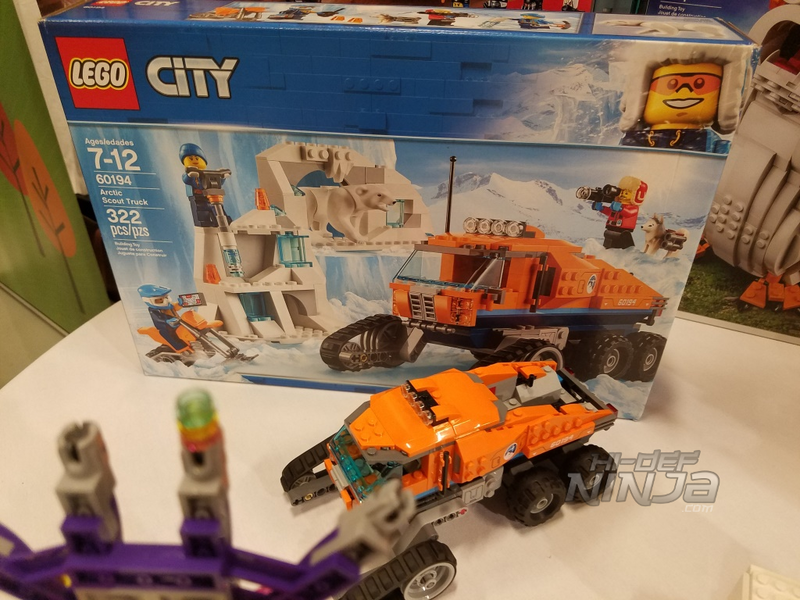 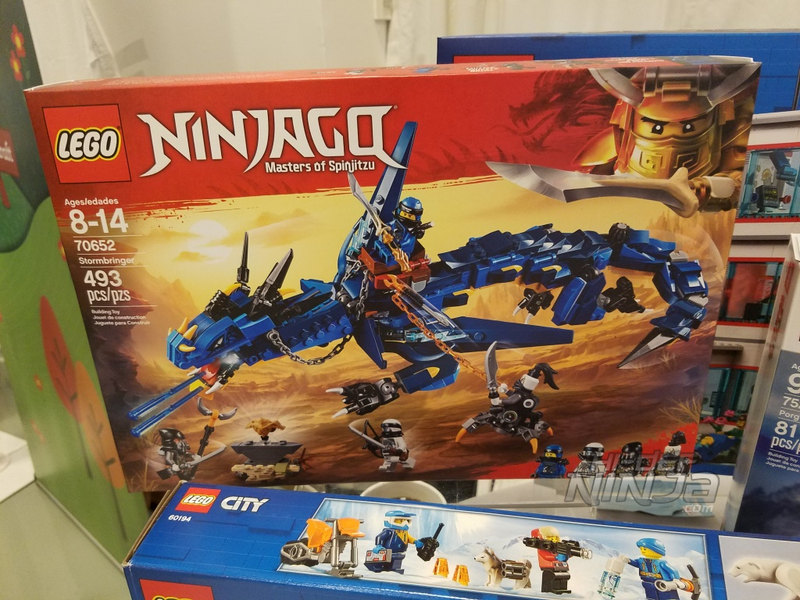 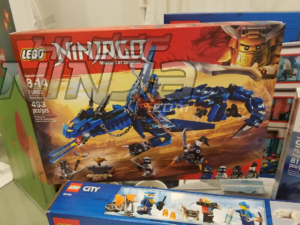 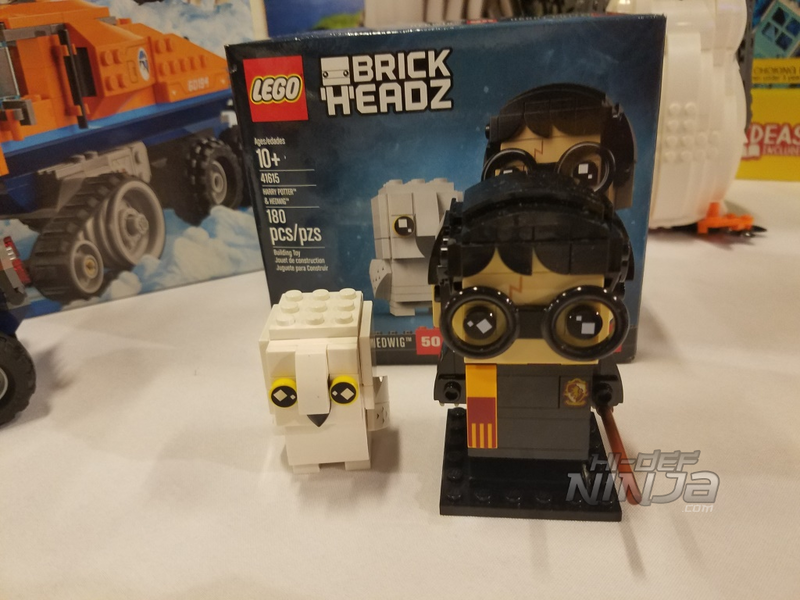 Lego continued to unveil licensed products from multiple lines. 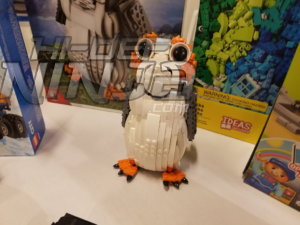 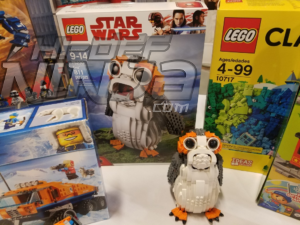 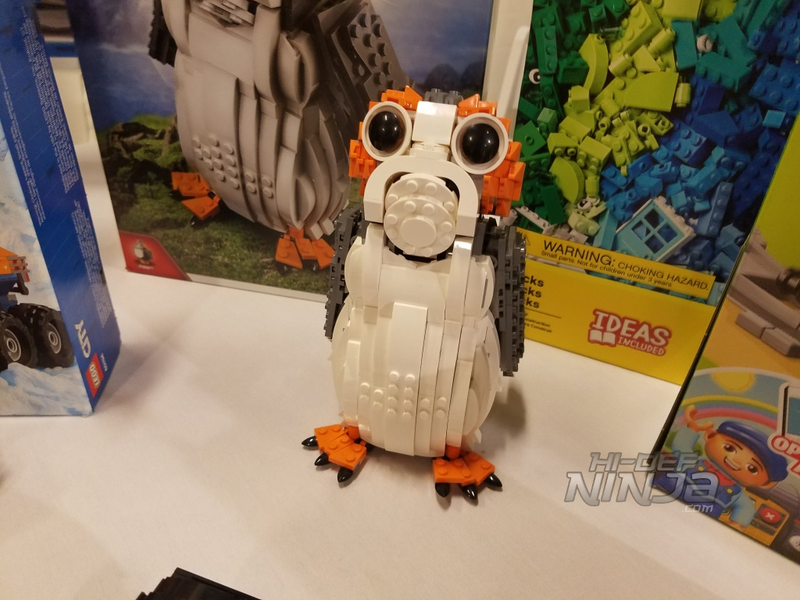 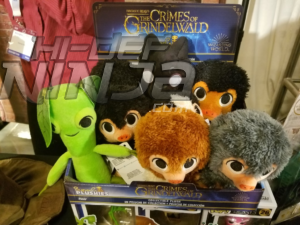 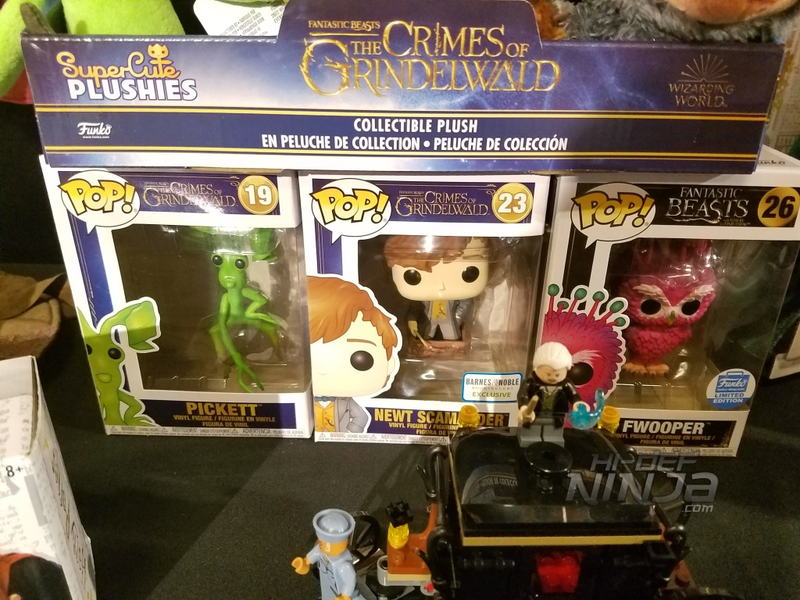 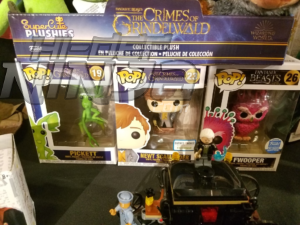 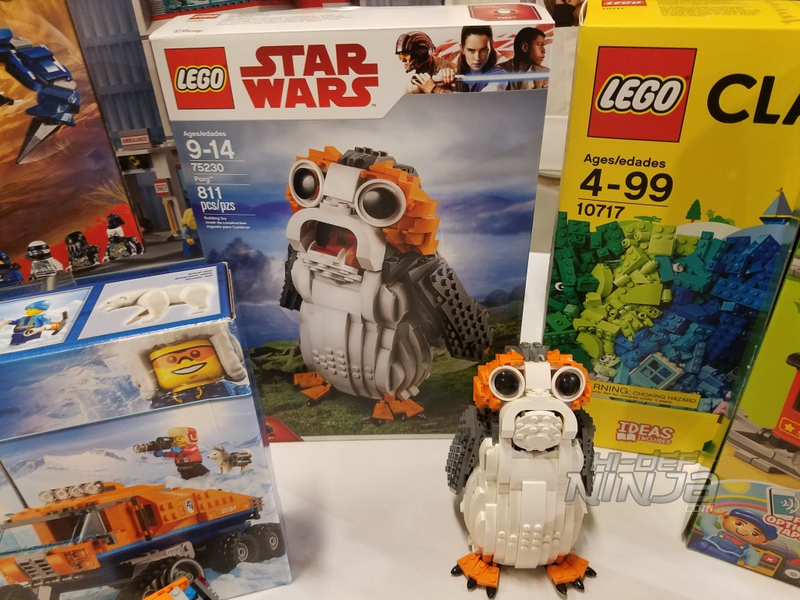 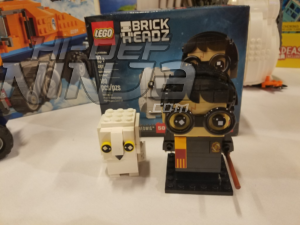 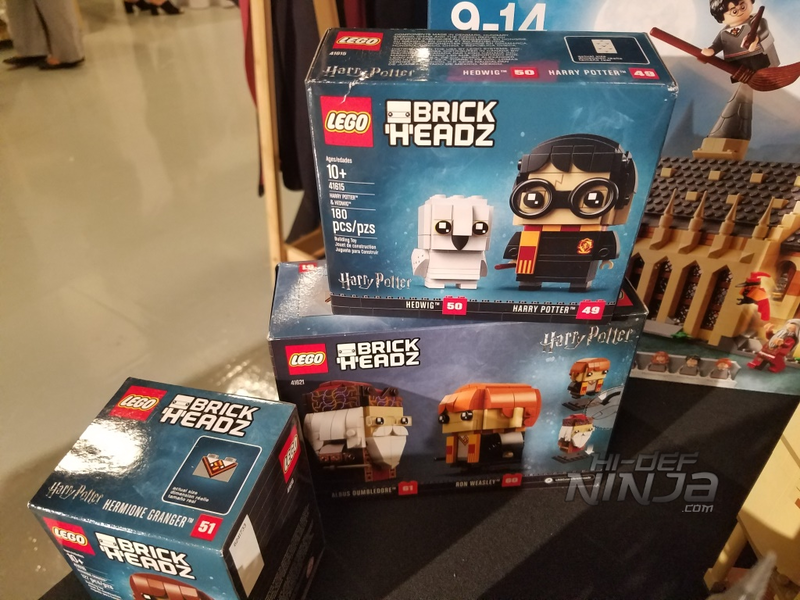 Some of the new items included a Harry Potter and Hedwig Brick Headz set and a Porg Star Wars set! 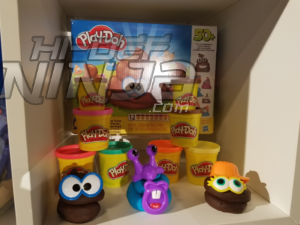 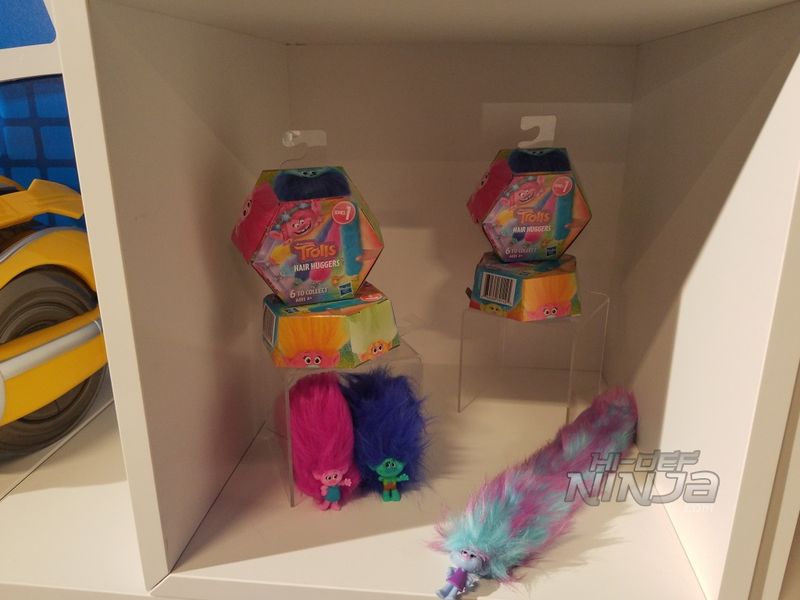 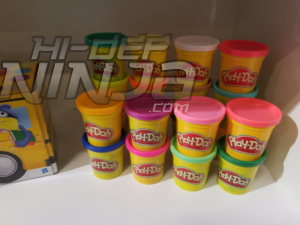 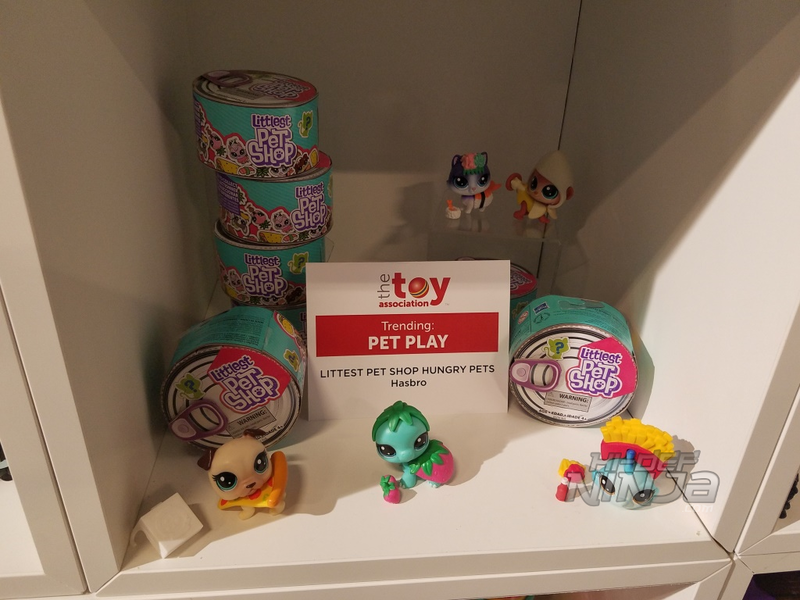 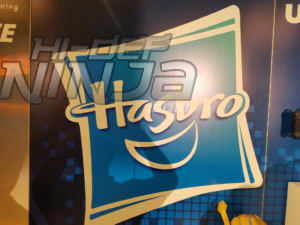 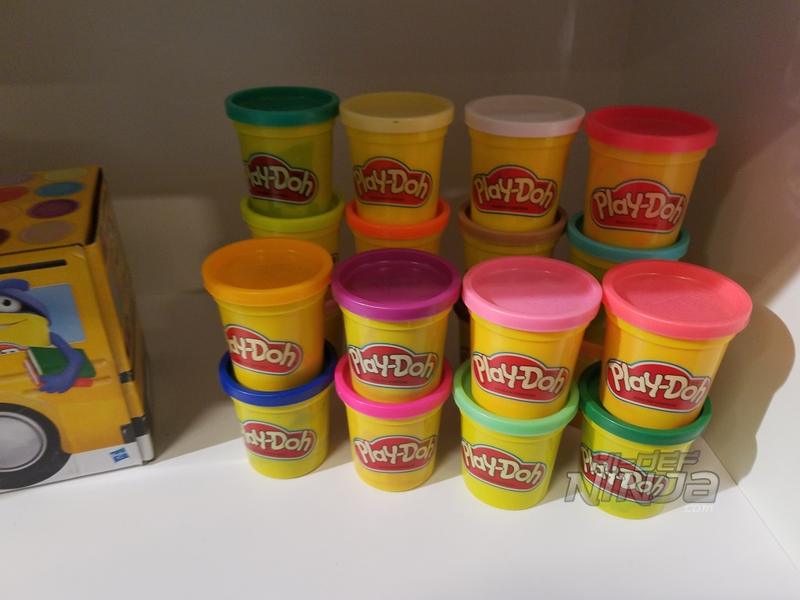 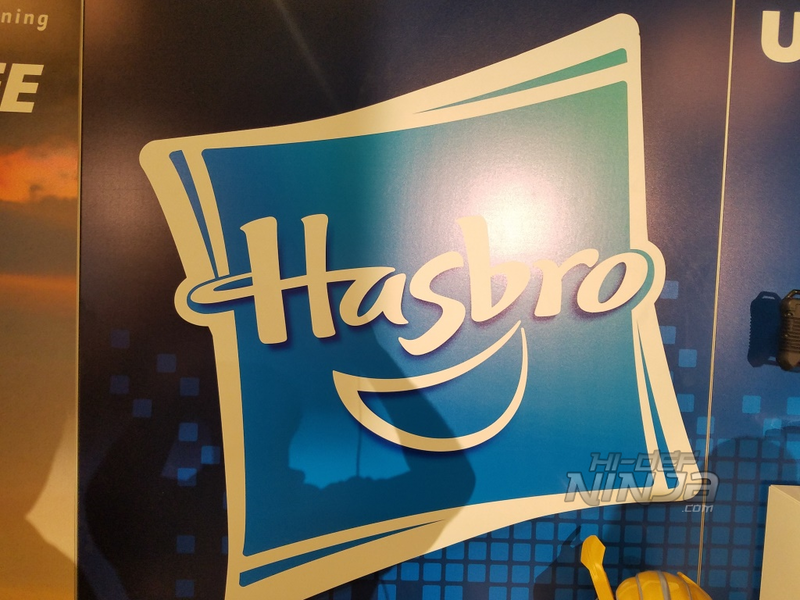 Hasbro continued to have a tremendous amount of products from their wide array of product lines. 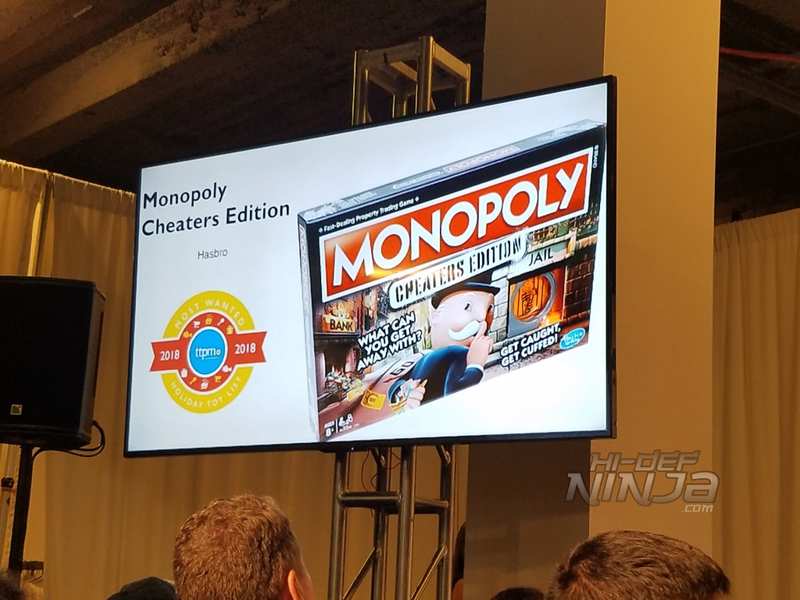 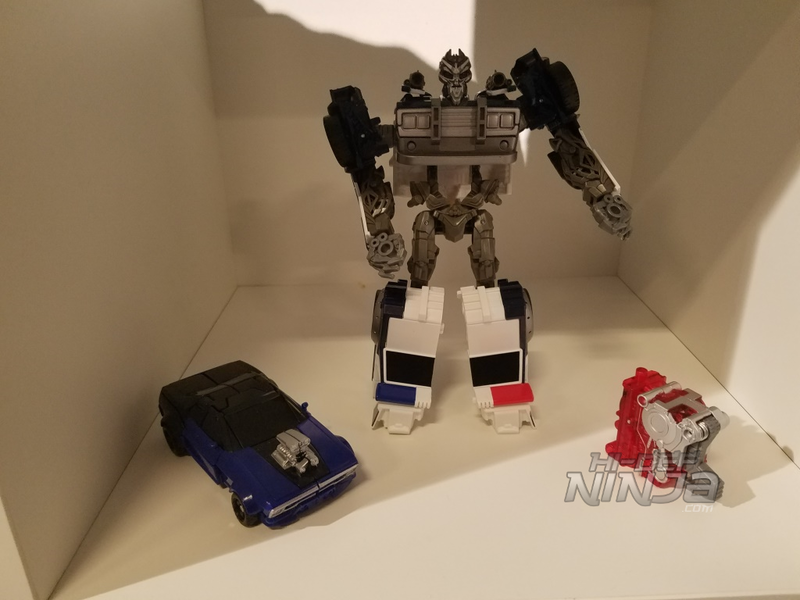 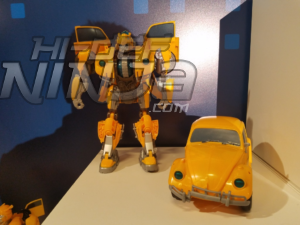 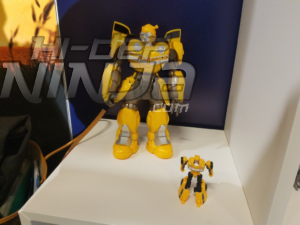 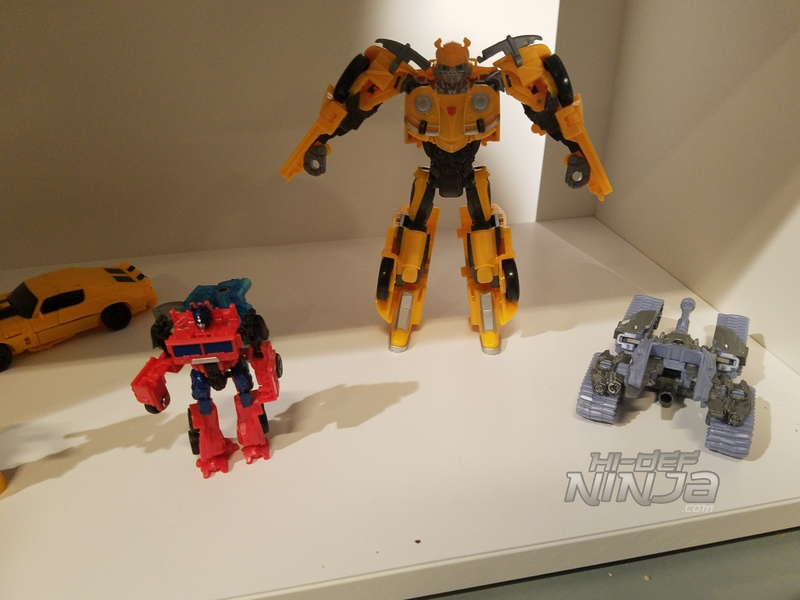 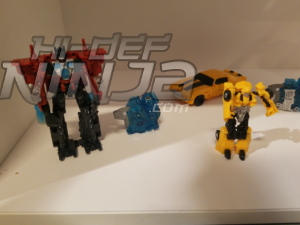 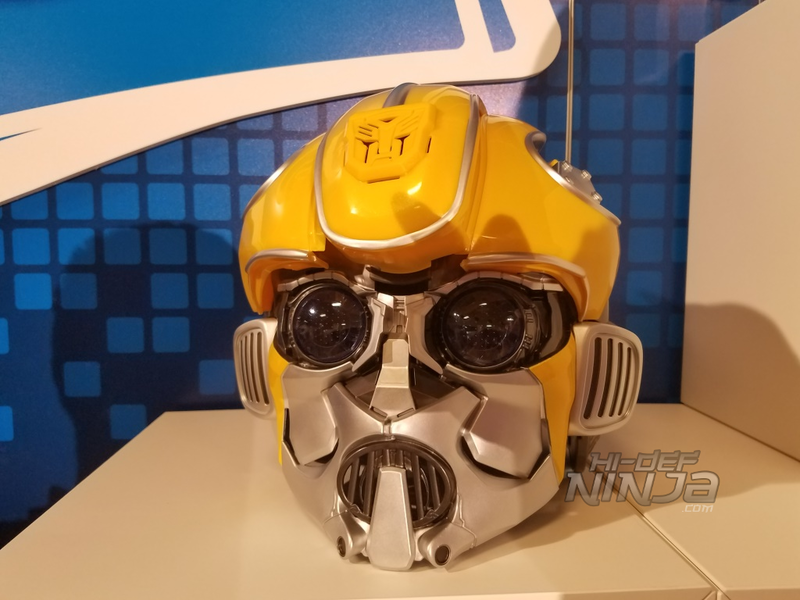 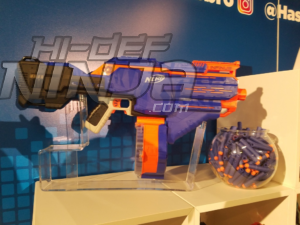 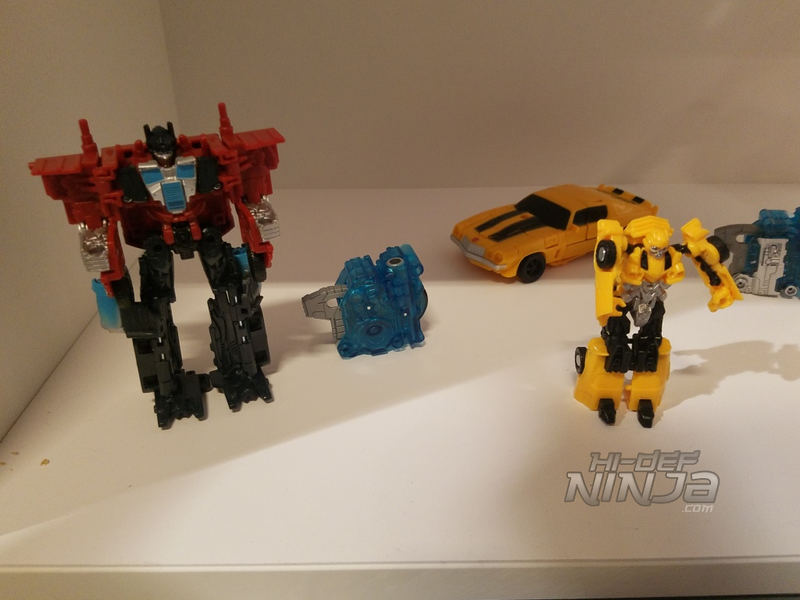 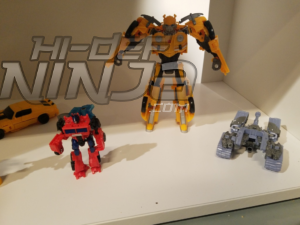 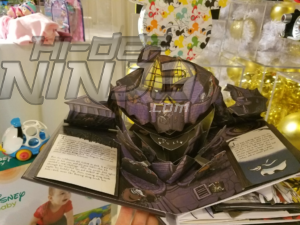 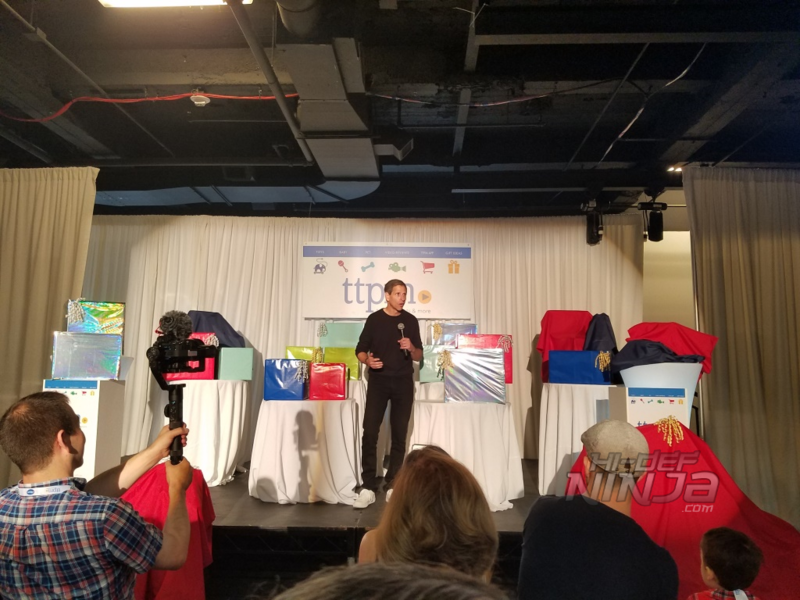 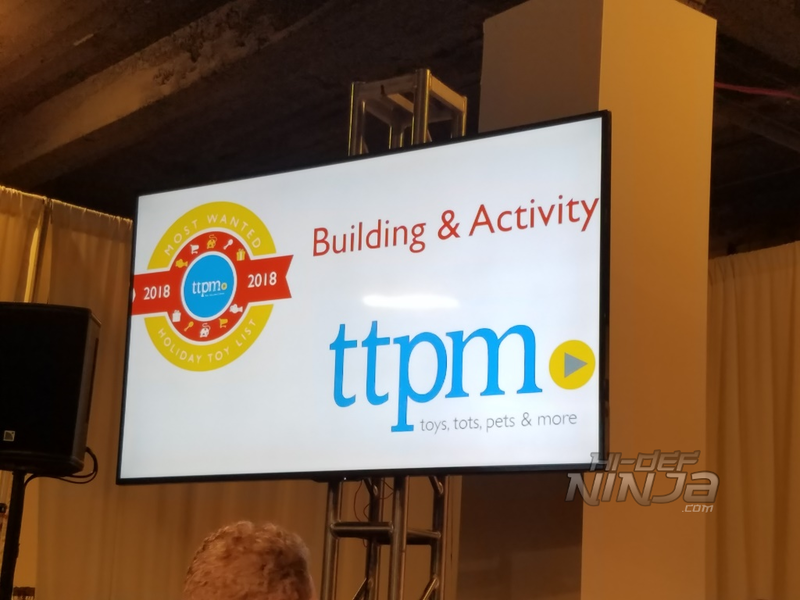 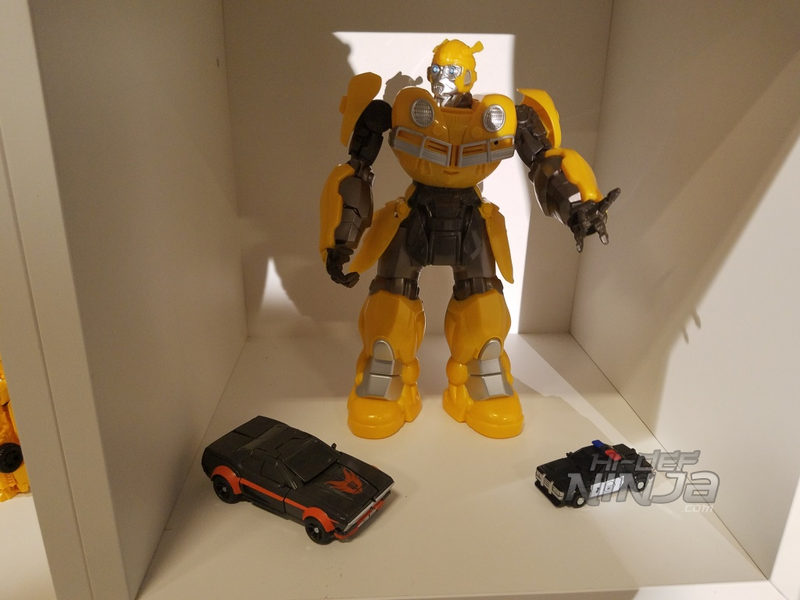 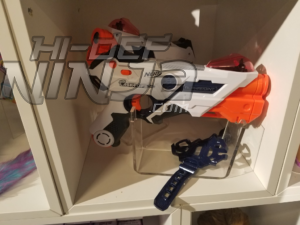 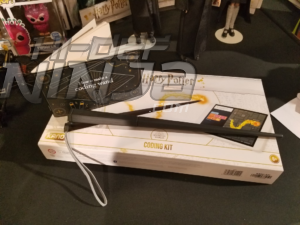 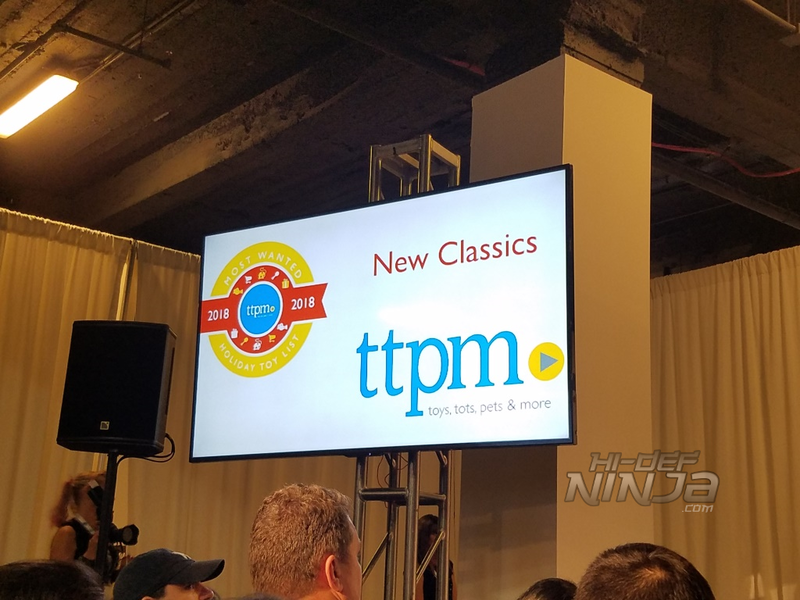 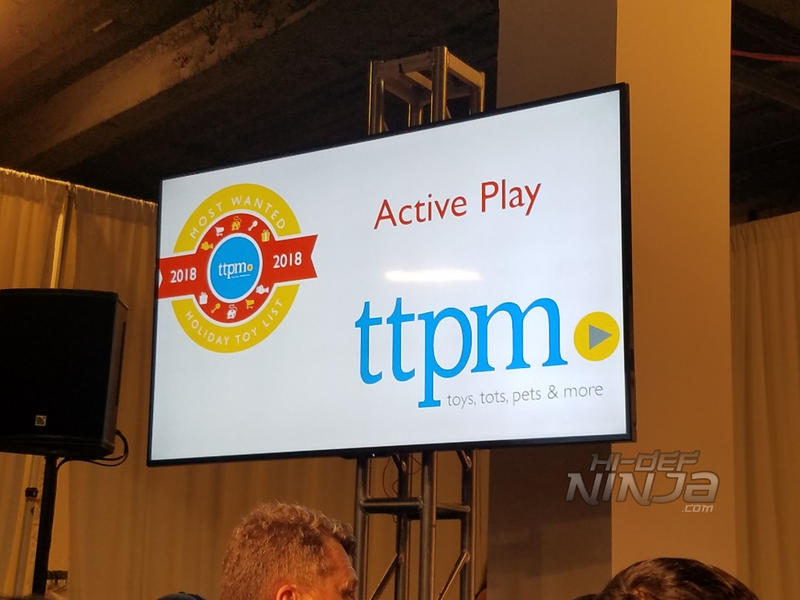 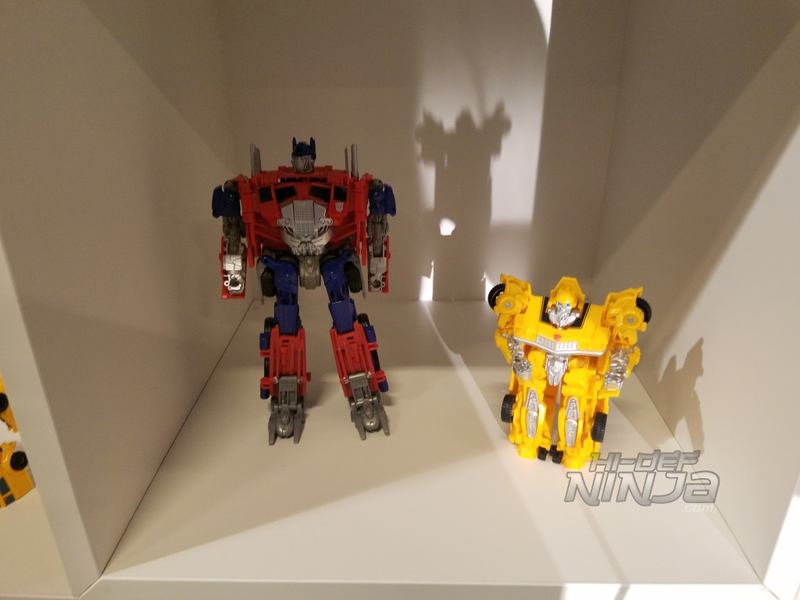 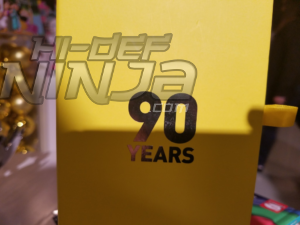 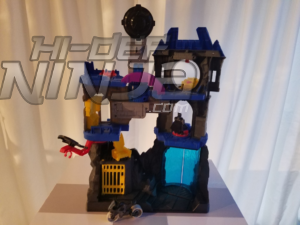 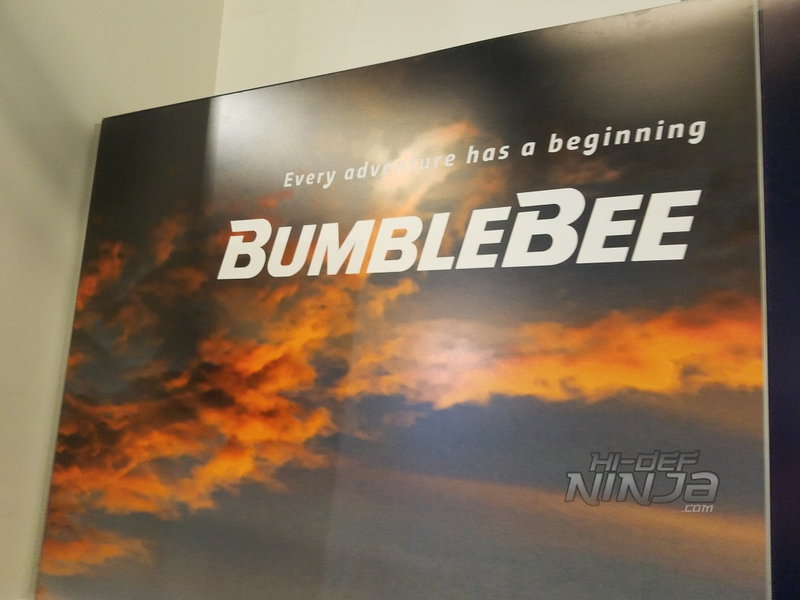 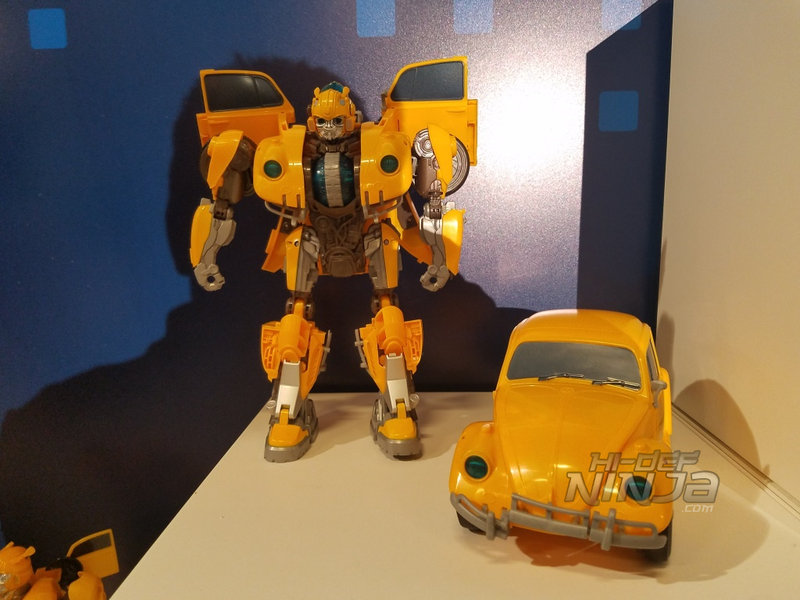 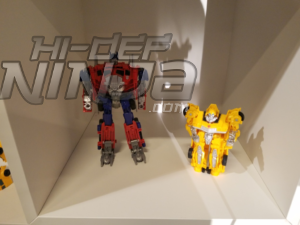 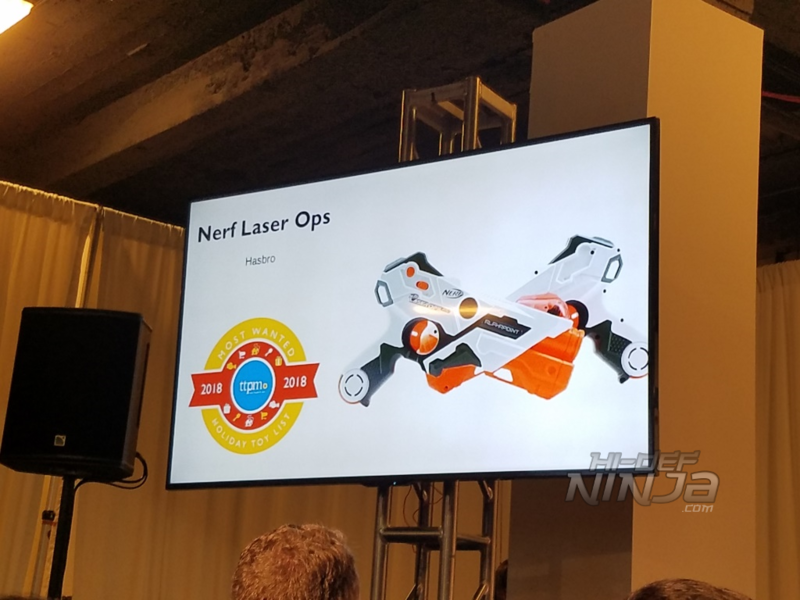 On display were their Bumblebee Movie products that should start hitting stores this month, the Nerf Laser Ops set (chosen as a top pick by ttpm,) Cheaters Monopoly. 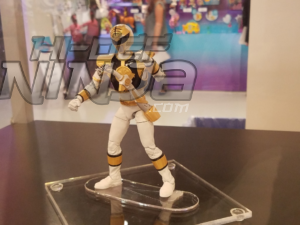 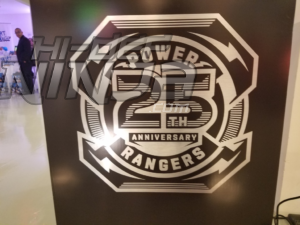 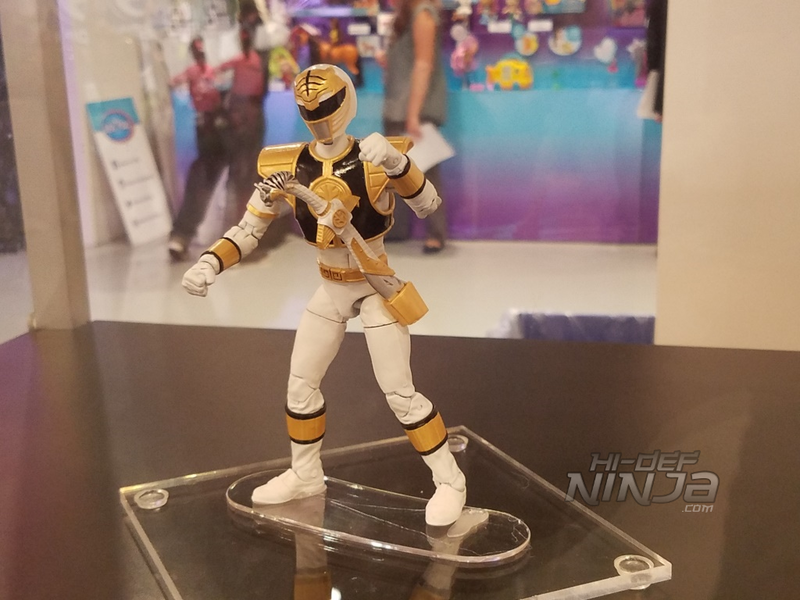 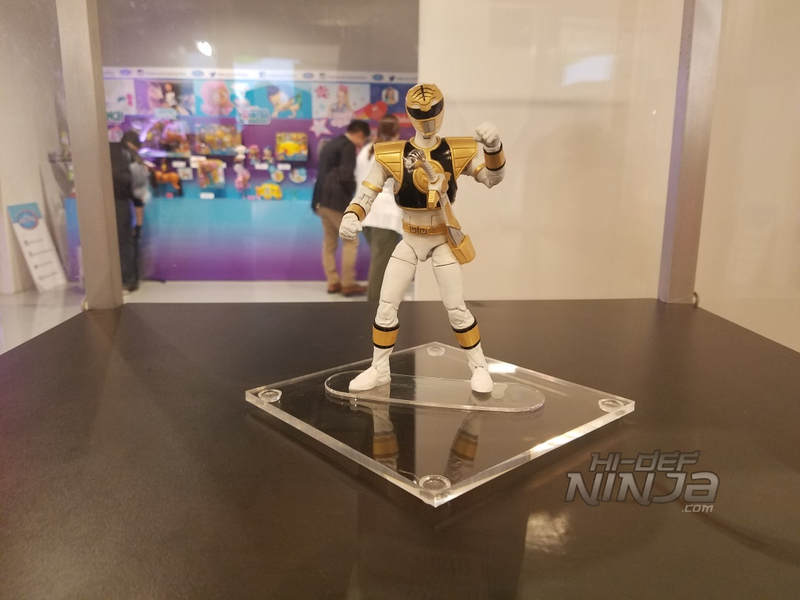 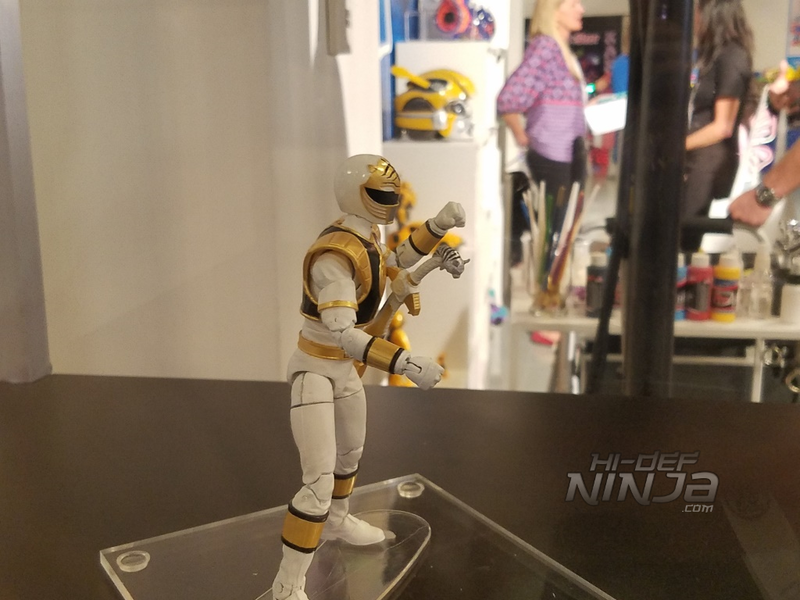 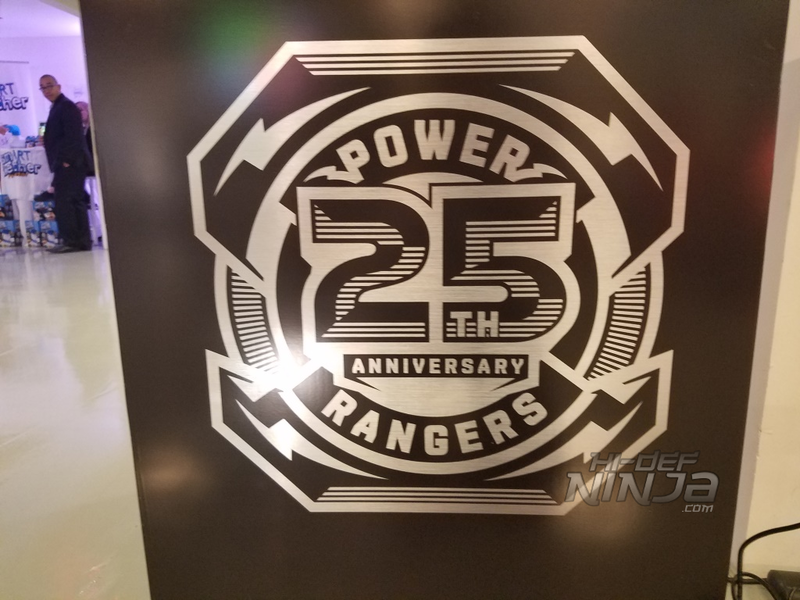 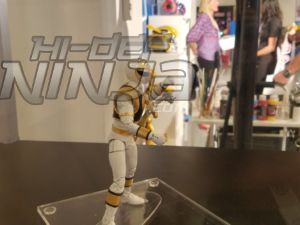 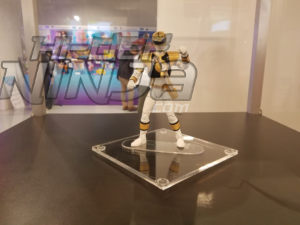 However the big news was the reveal of the first figure in their Power Rangers Lightning line the White Ranger. 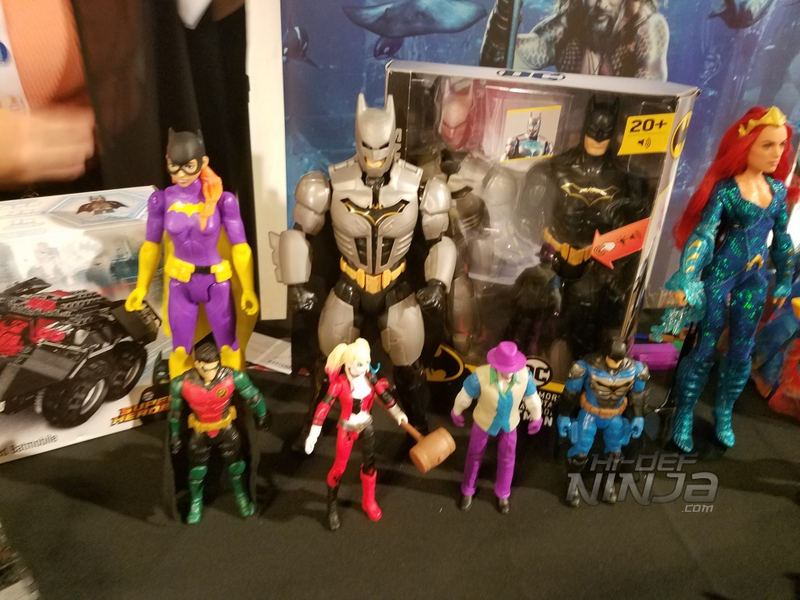 Warner Bros also had a booth this year. Since they license their properties out they had a wide array of products from different companies. 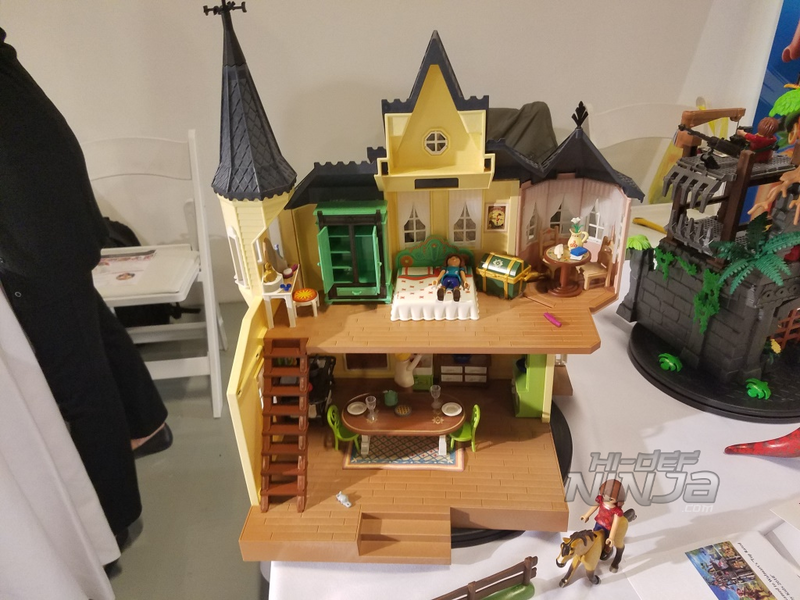 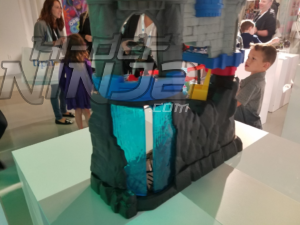 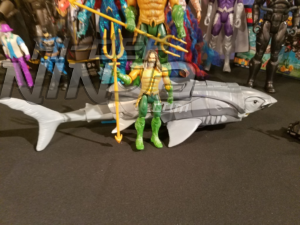 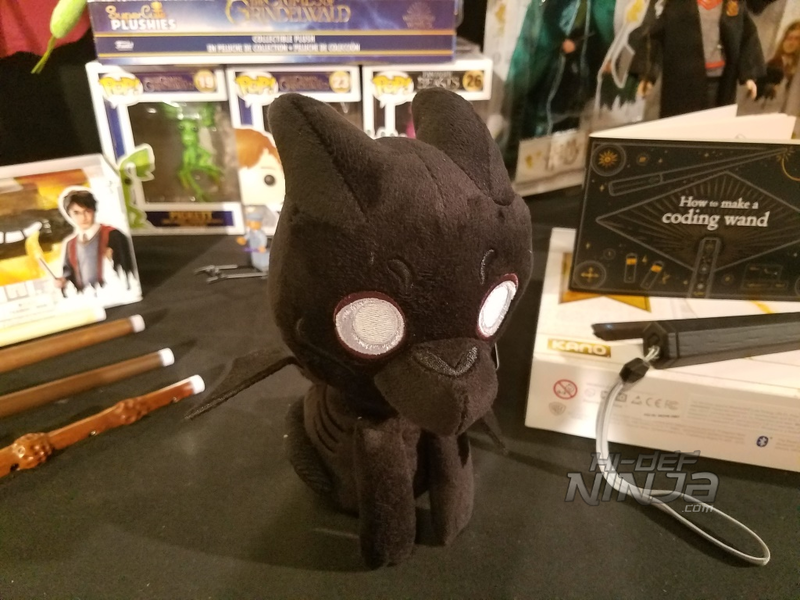 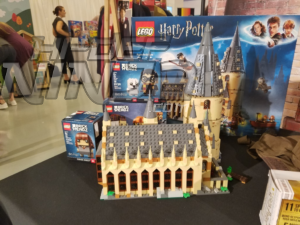 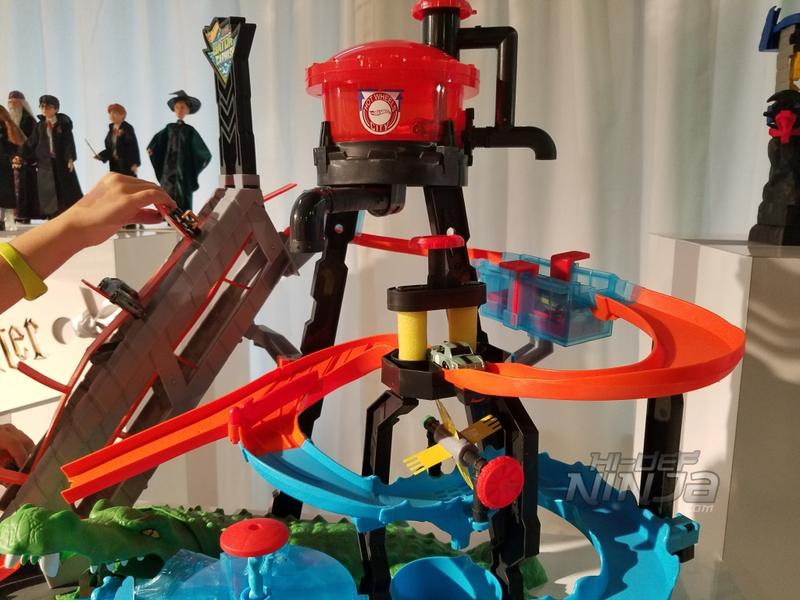 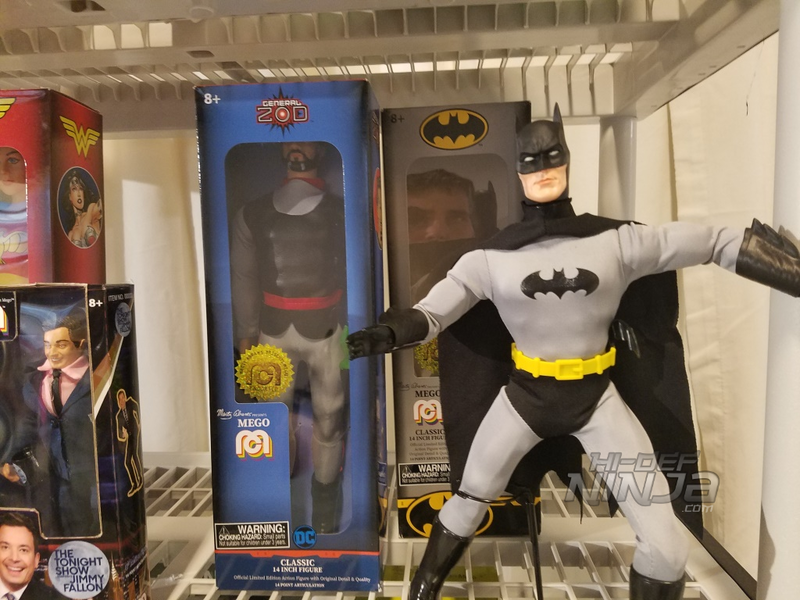 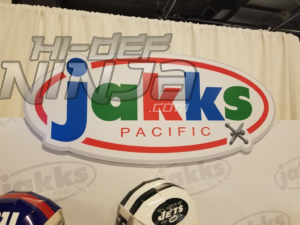 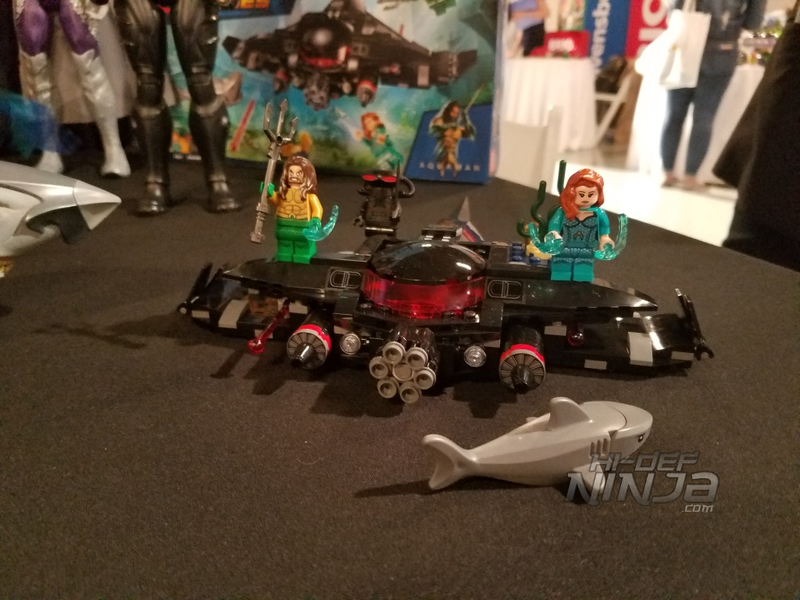 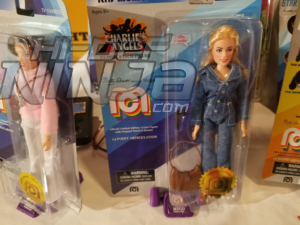 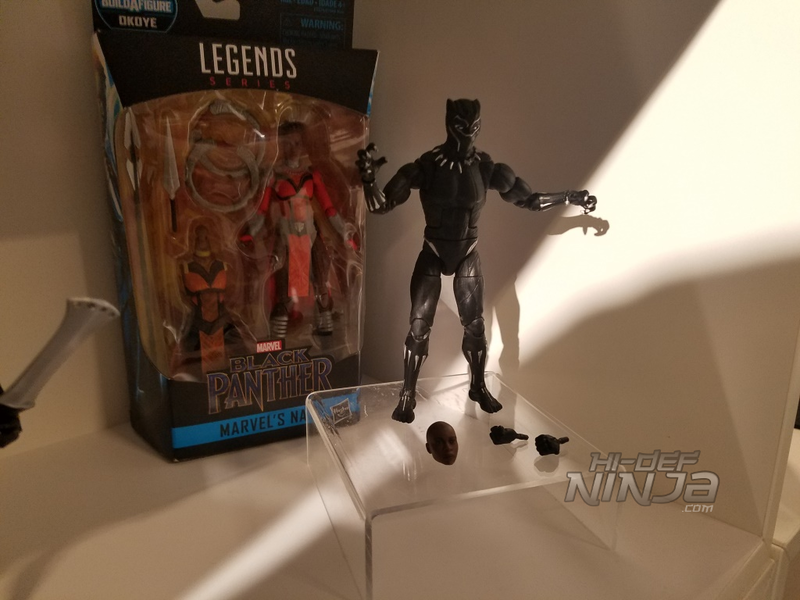 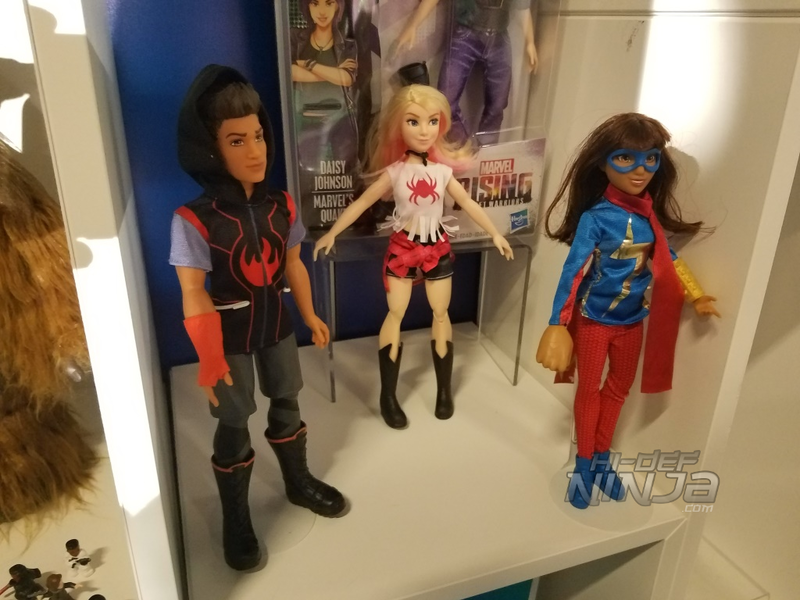 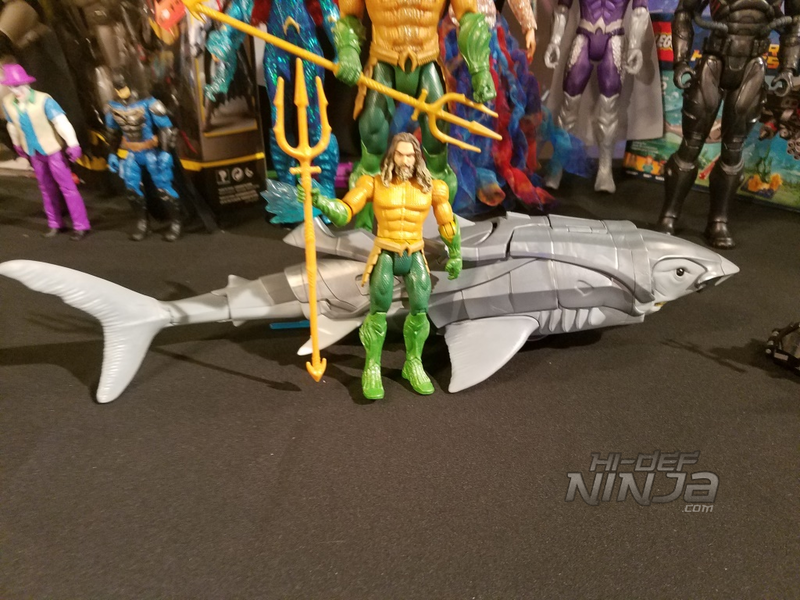 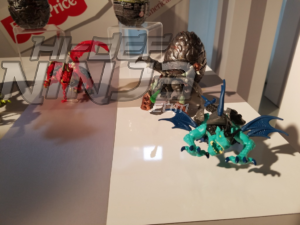 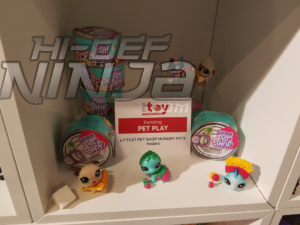 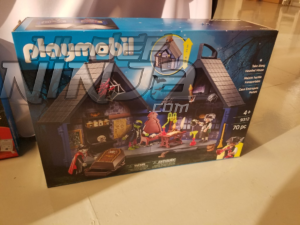 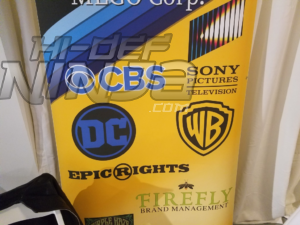 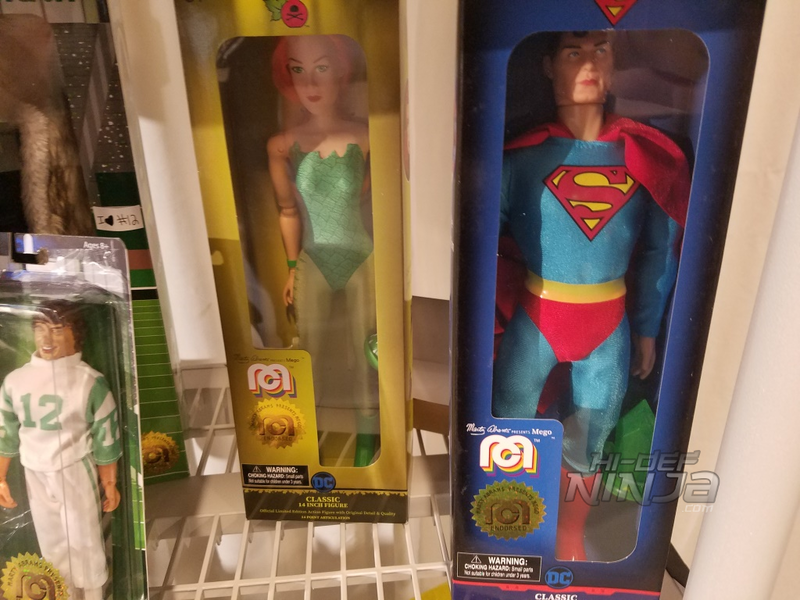 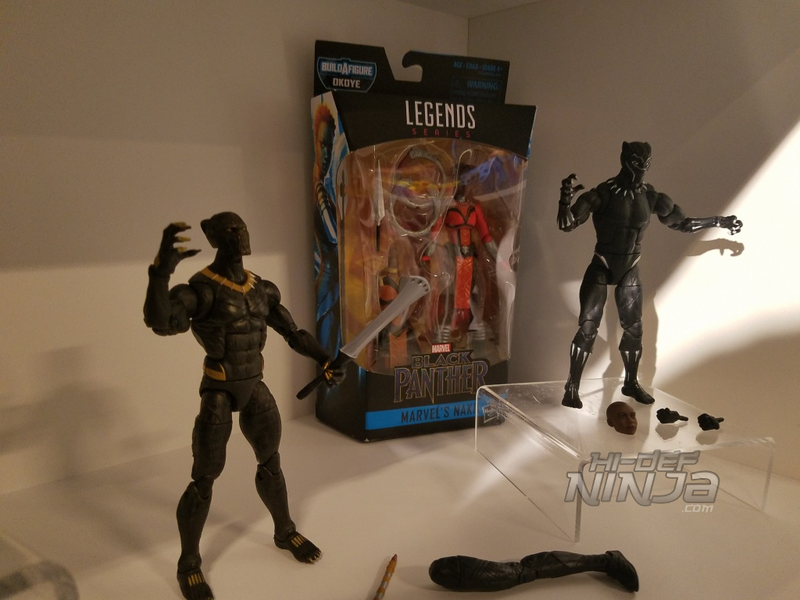 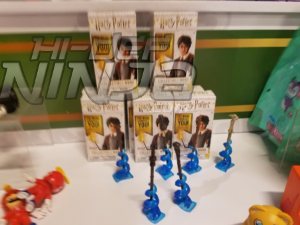 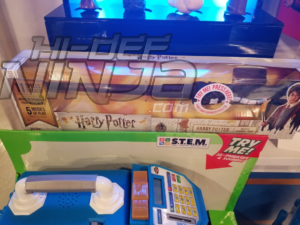 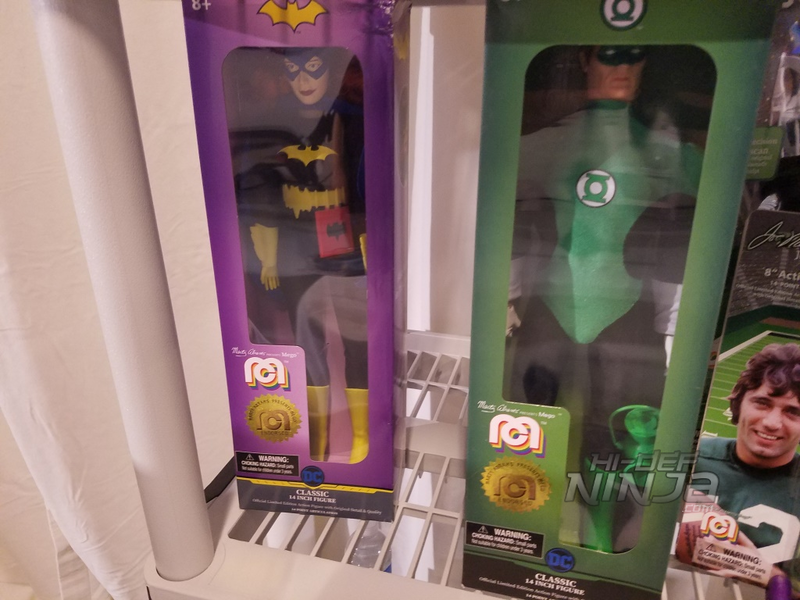 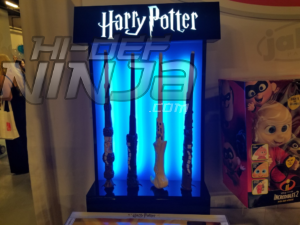 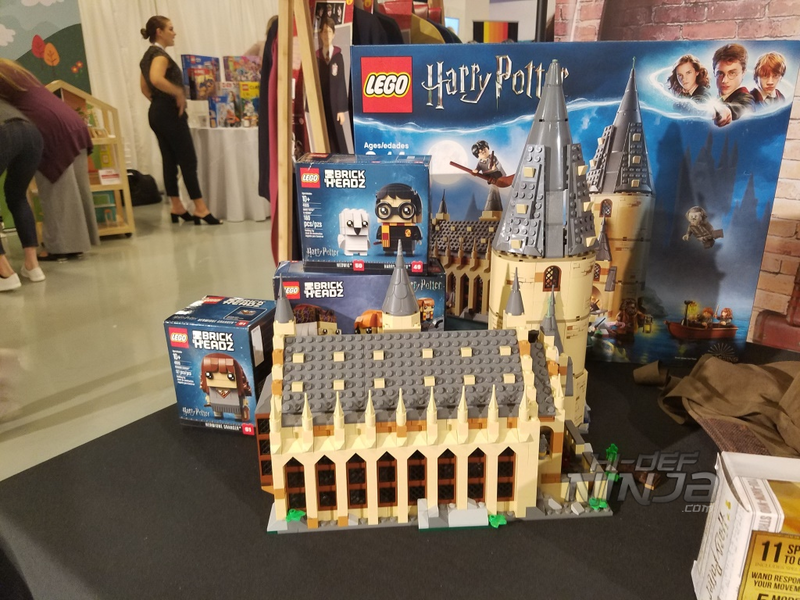 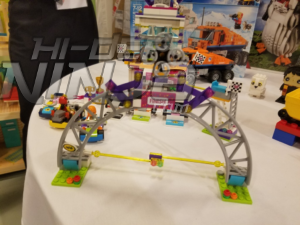 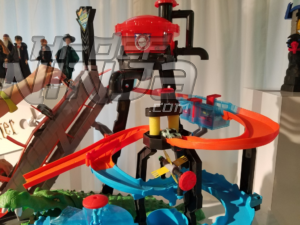 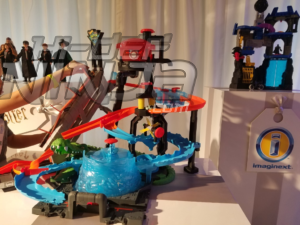 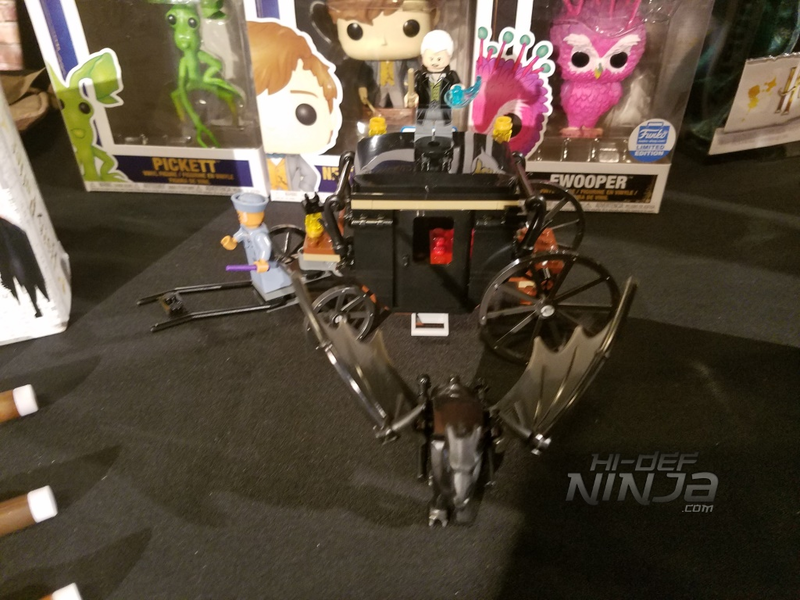 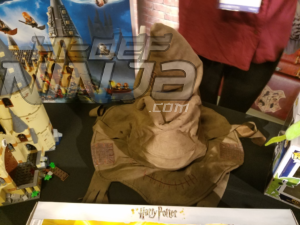 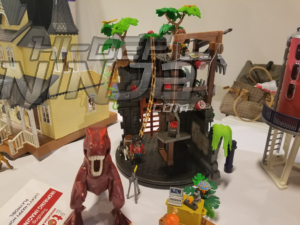 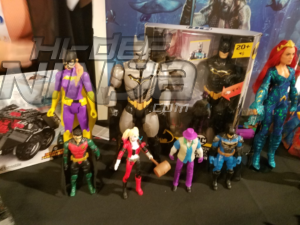 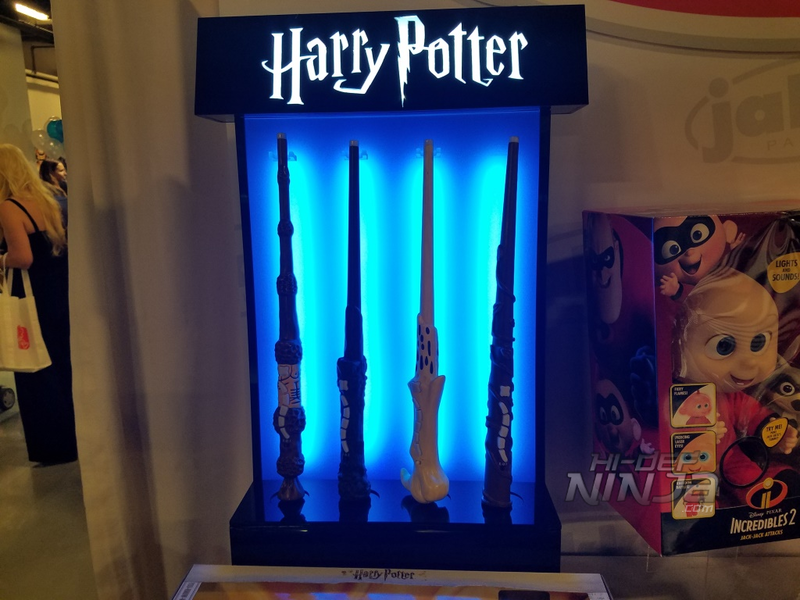 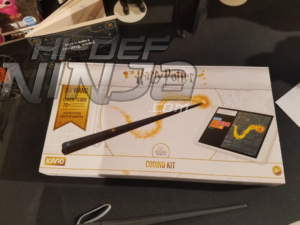 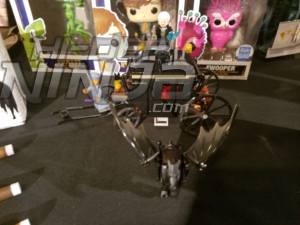 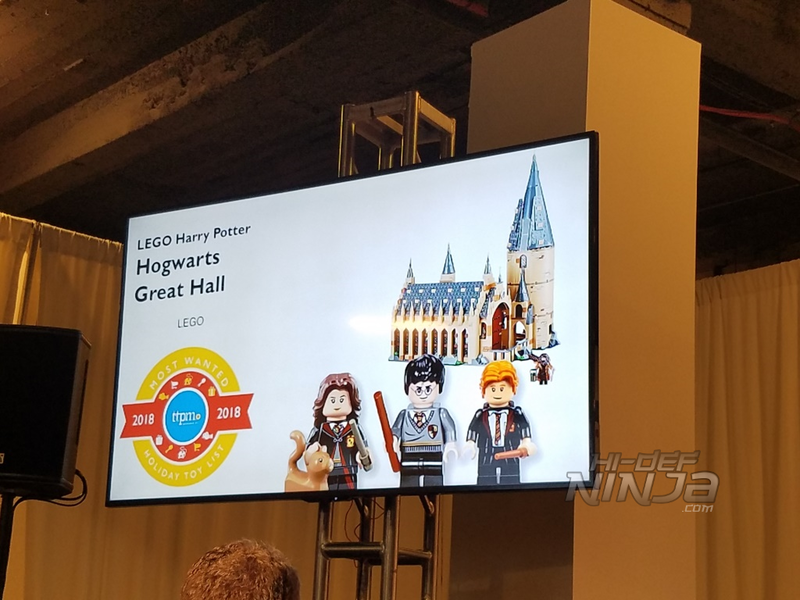 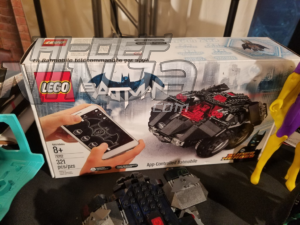 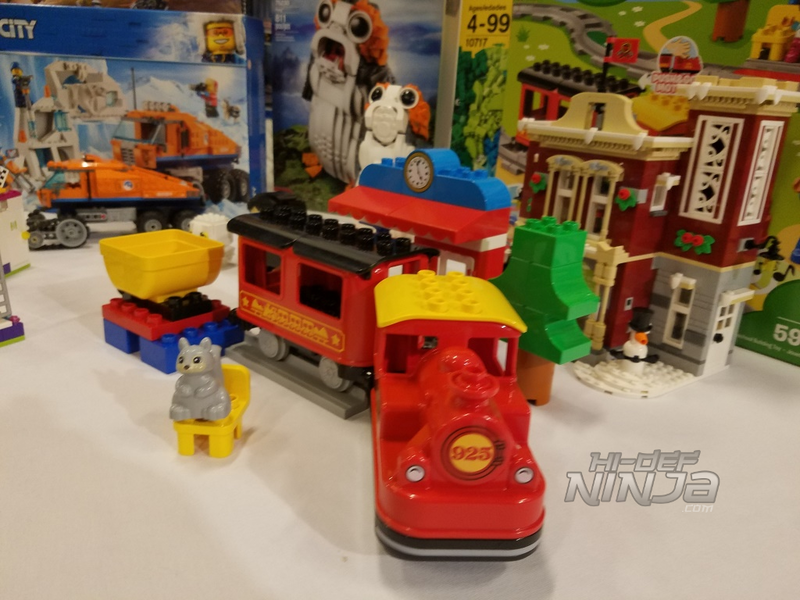 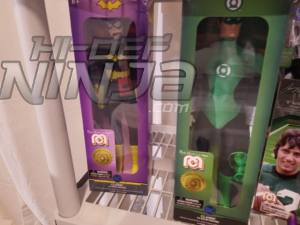 Mainly though they focused their booth space on Aquaman and Harry Potter with products from Mattel, Lego, Jacks Pacific, Funko, and a Harry Potter wand coding kit from Kano. The set let’s children first build a wand that responds to your movements and then teaches them to code with 70+ step-by-step creative challenges; make feathers fly, goblets multiply, fire flow, pumpkins grow, and more. 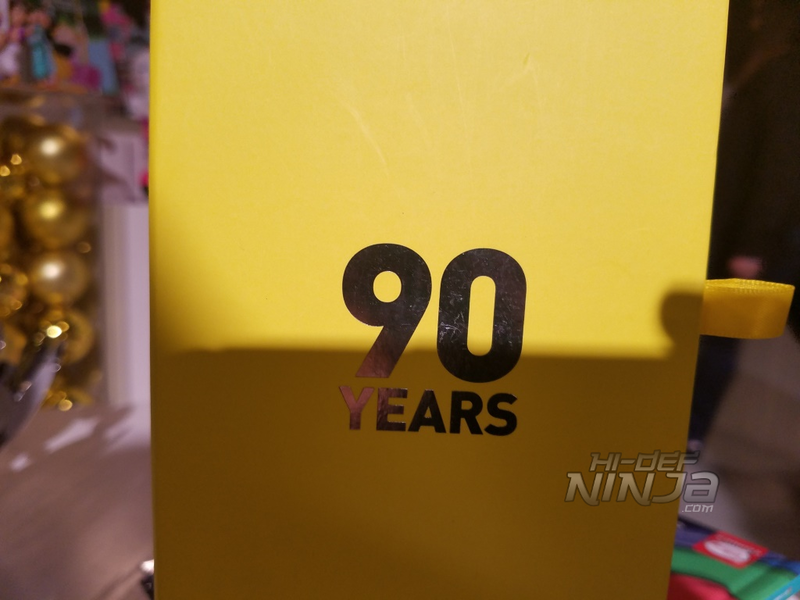 Though retailing for $99.99 it is a bit steep. 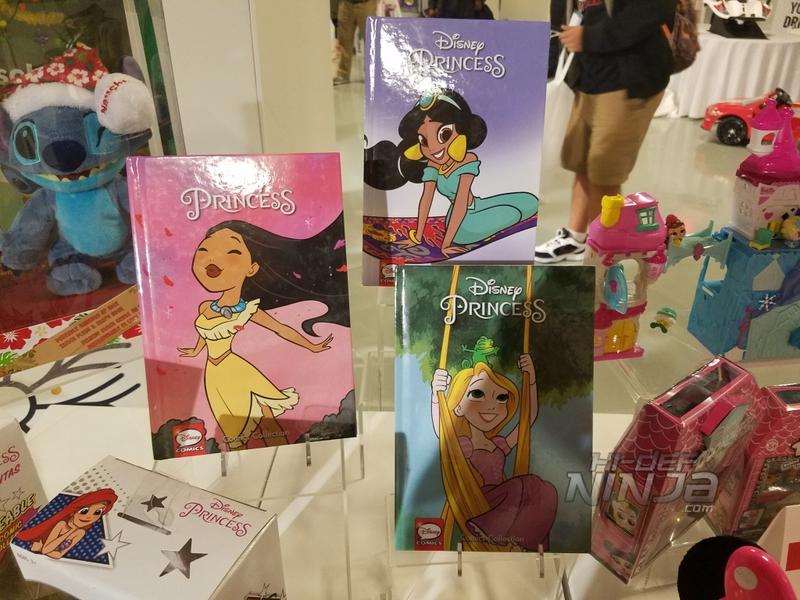 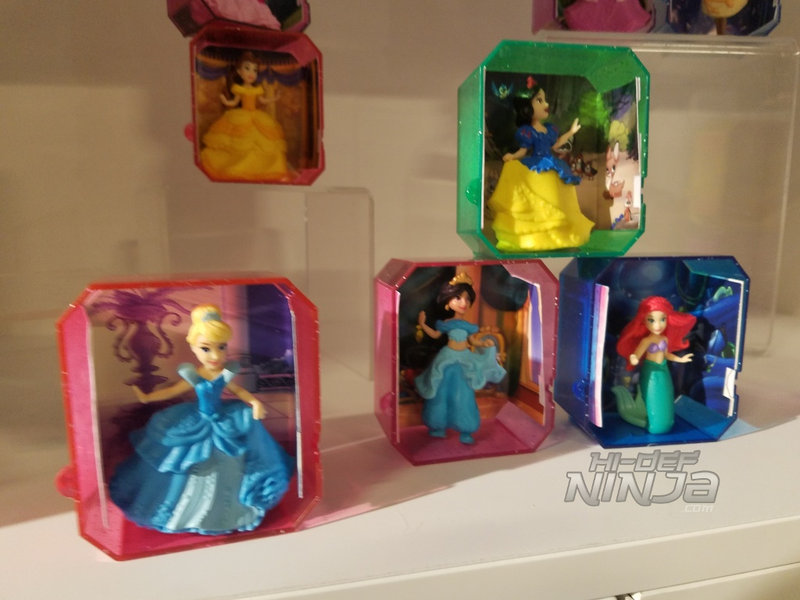 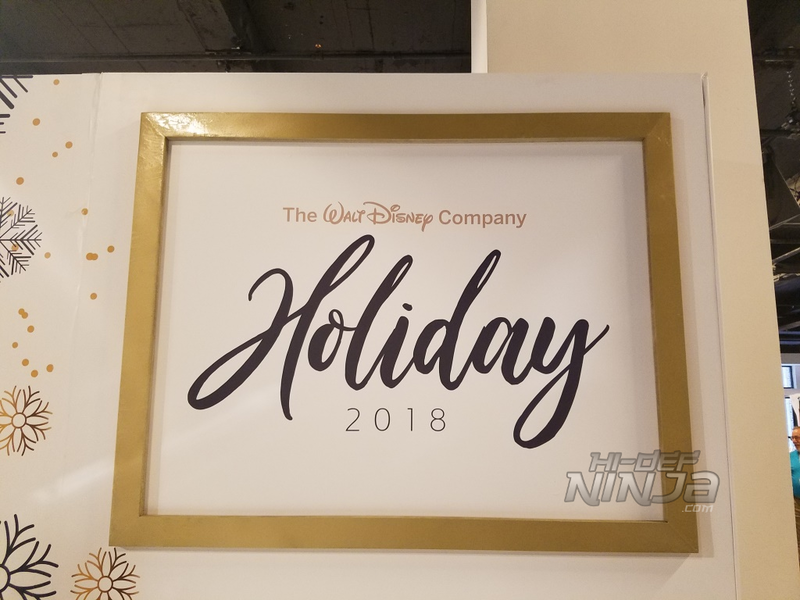 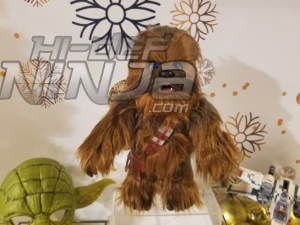 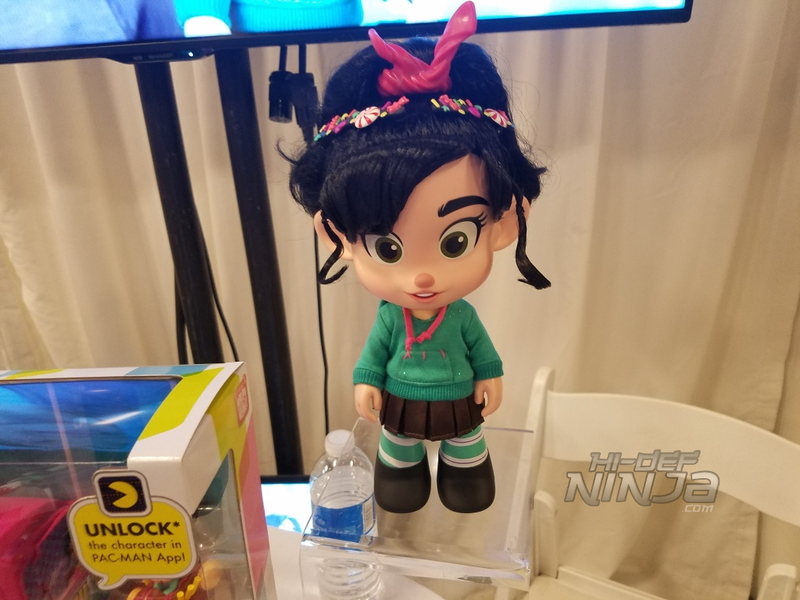 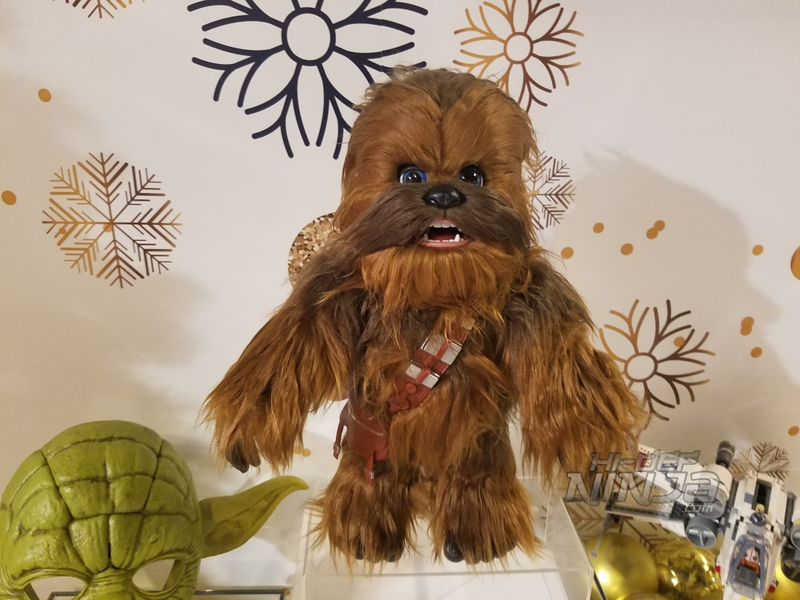 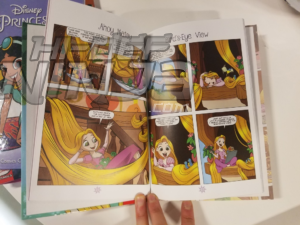 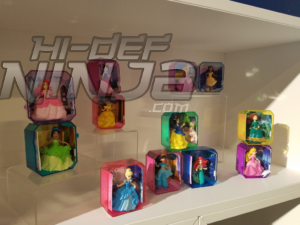 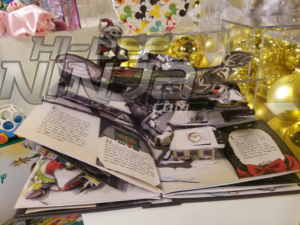 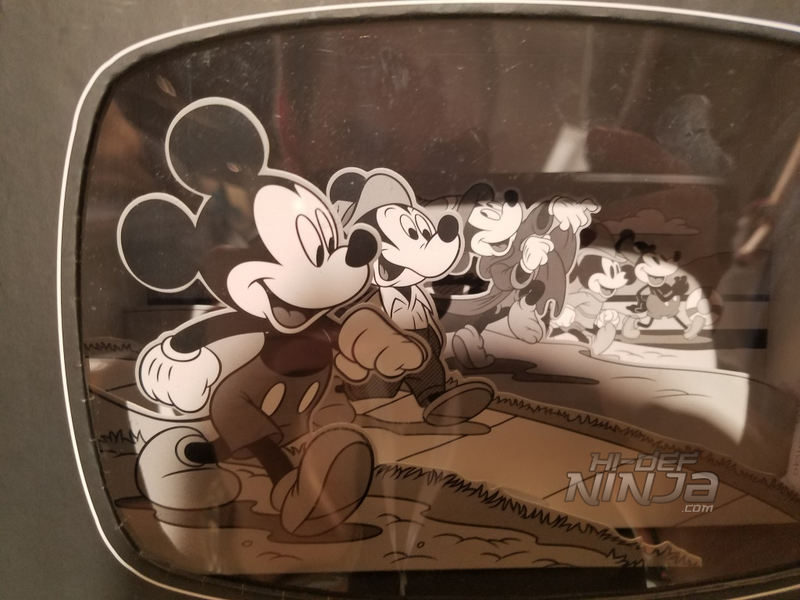 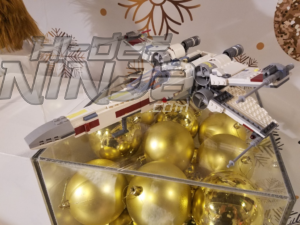 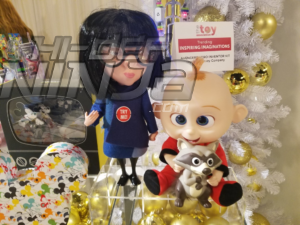 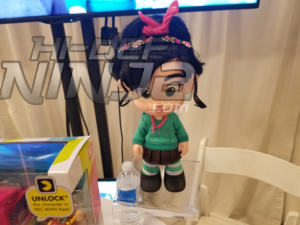 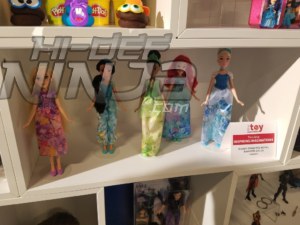 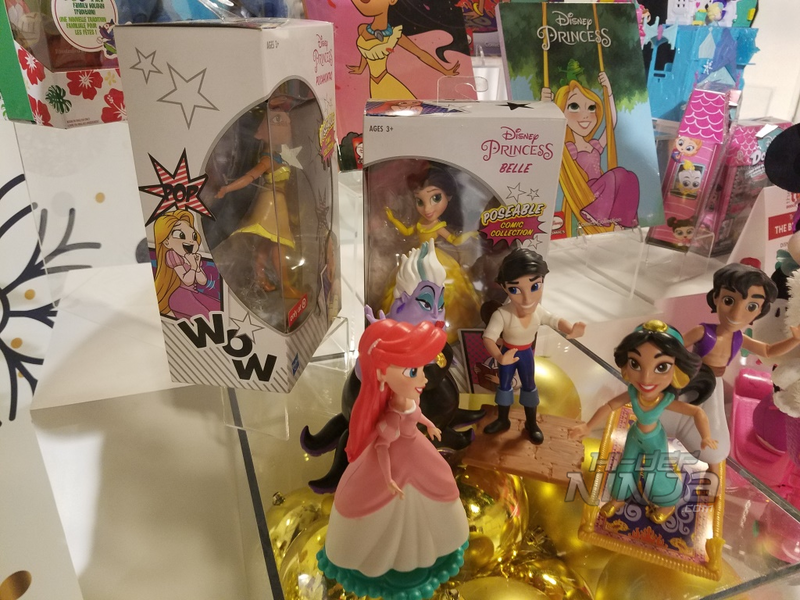 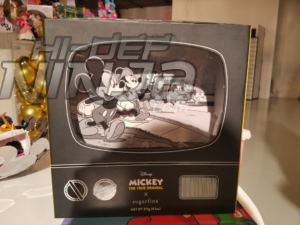 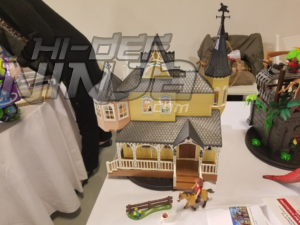 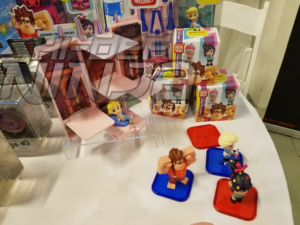 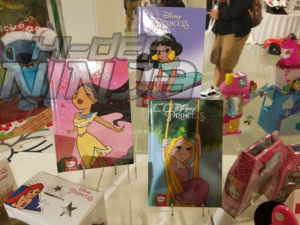 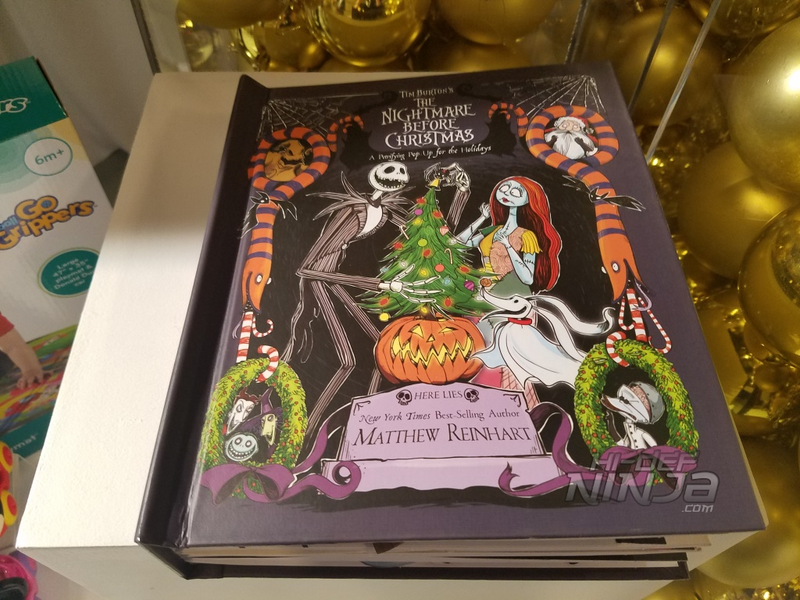 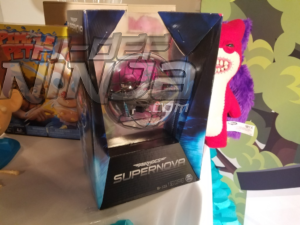 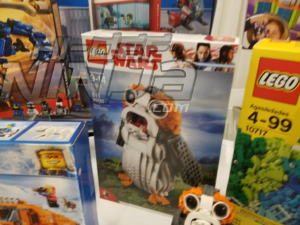 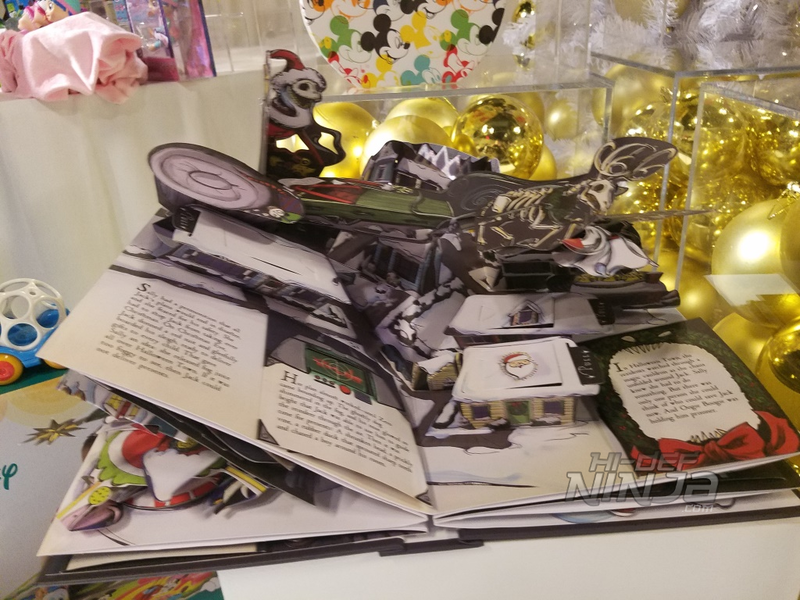 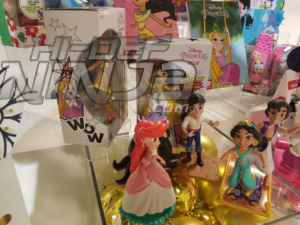 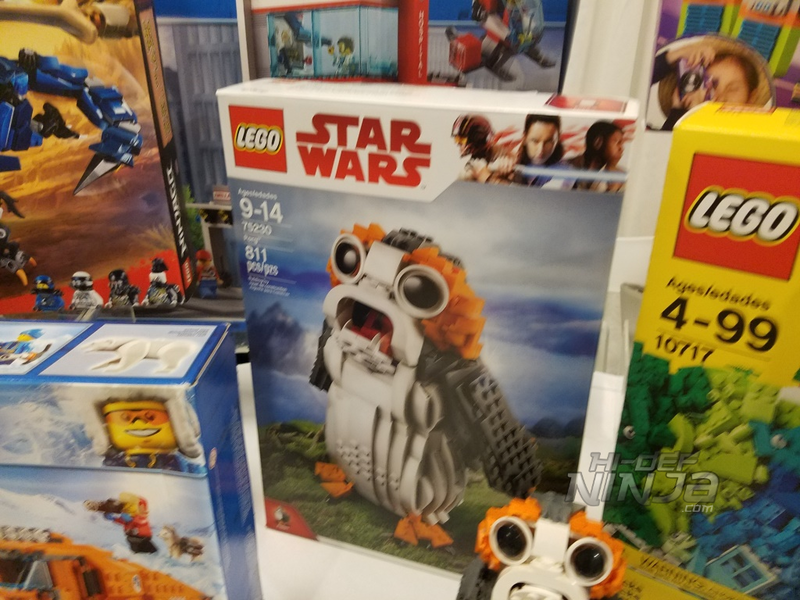 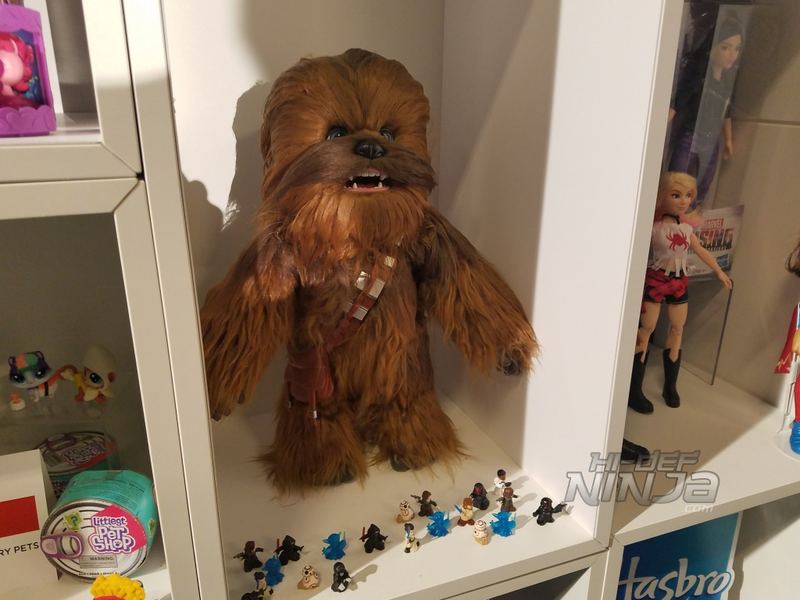 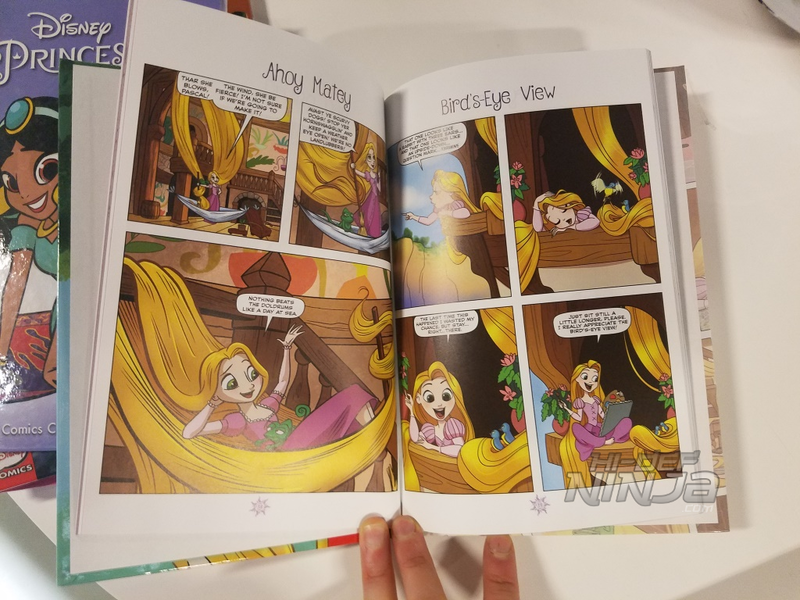 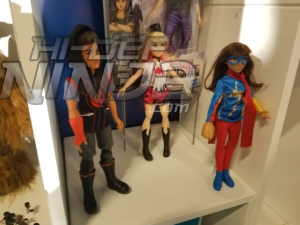 Disney also had a booth space at the show showcasing many of their licensed products from a Lego Star Wars X-Wing and the FurReal Chewbacca announced earlier this year to their Incredibles line and their Disney Princess Comic books. One item of note was the STEM littlebits Avengers Hero Inventor Kit. 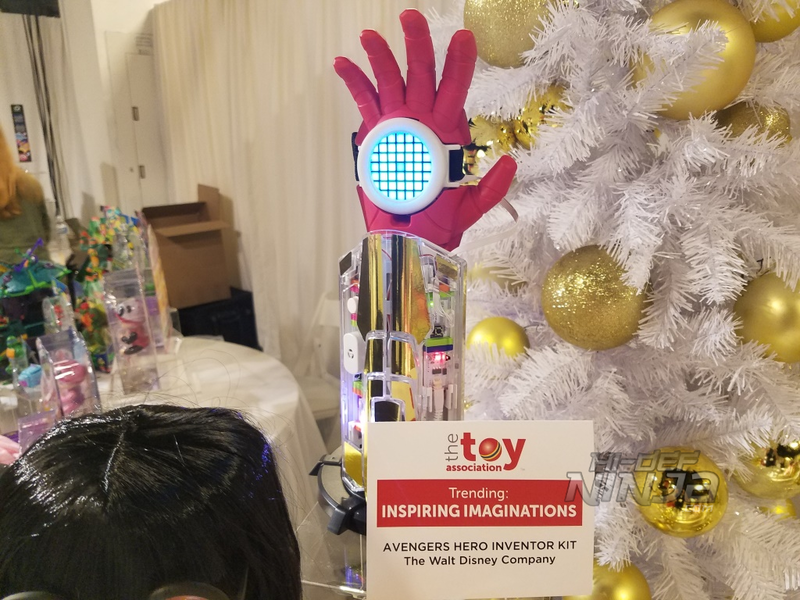 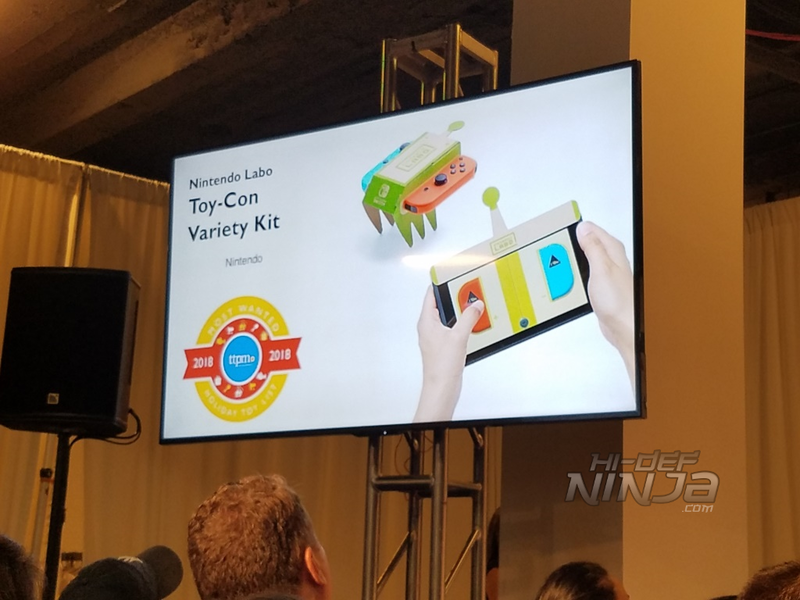 The set which retails for $149.99 lets children build and customize their high-tech hero gear and then control it with their smart device. 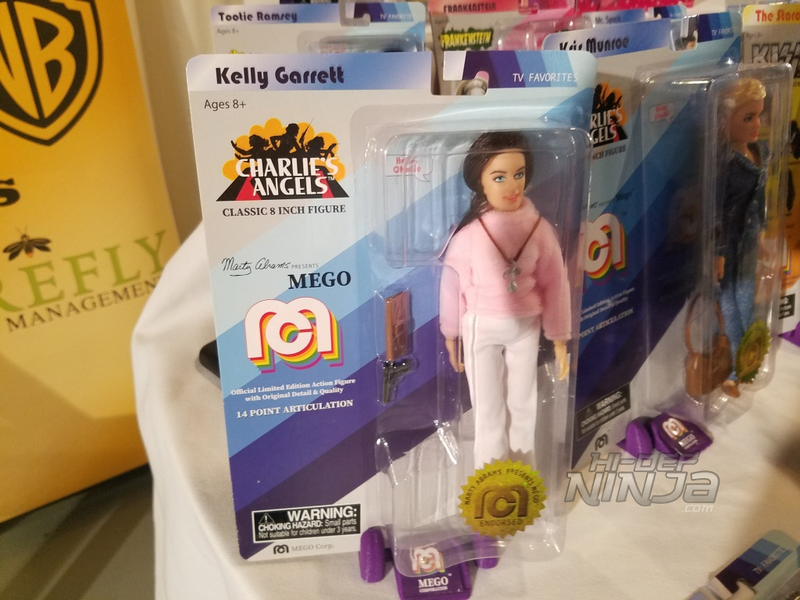 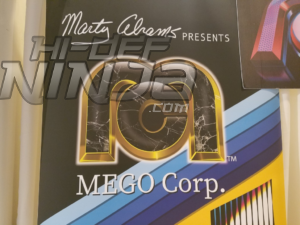 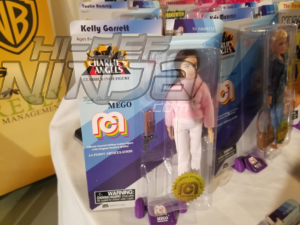 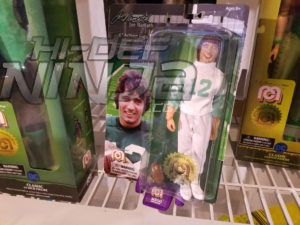 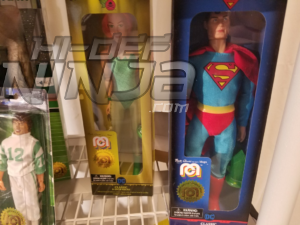 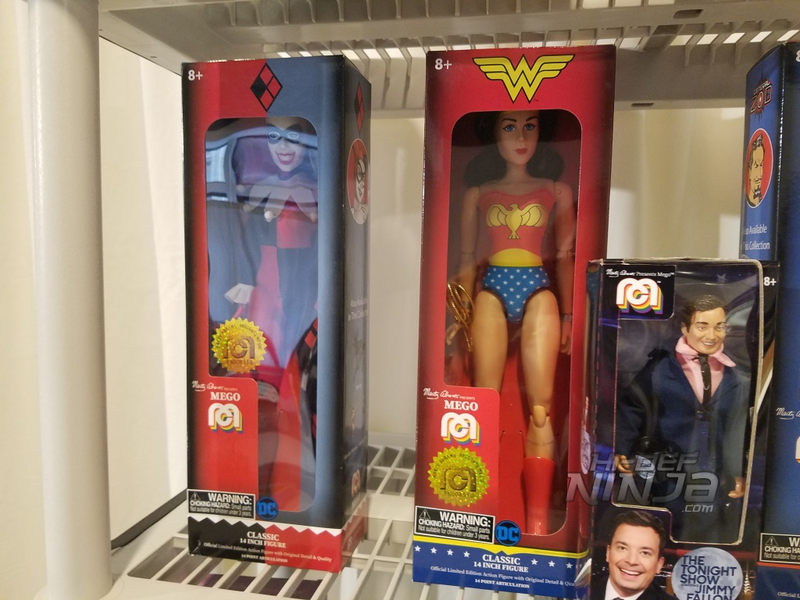 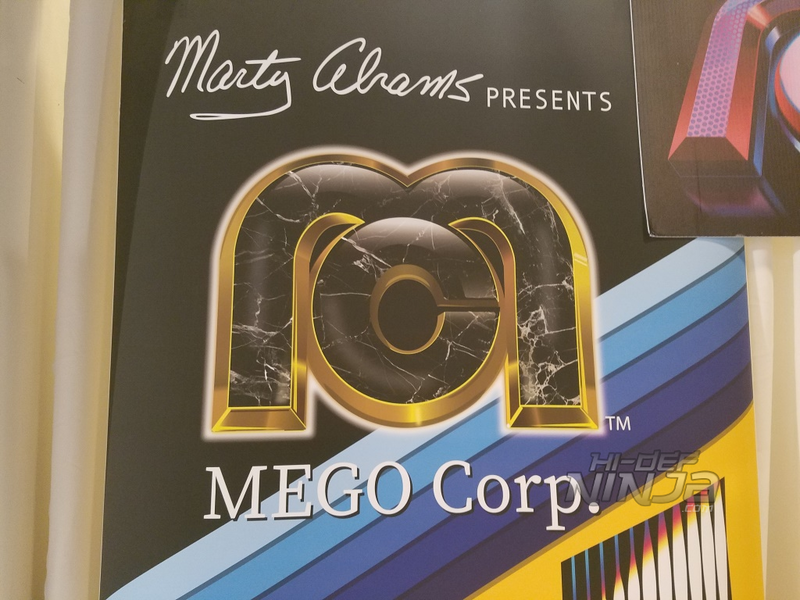 As announced in July 2018 Mego Corporation is coming back and is producing a run of classic clothed figures in the 8’’ and 14’’ line. 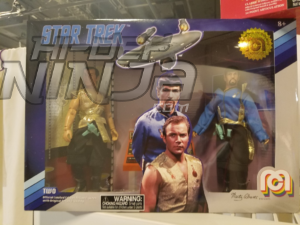 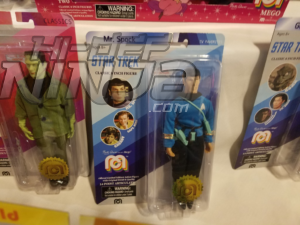 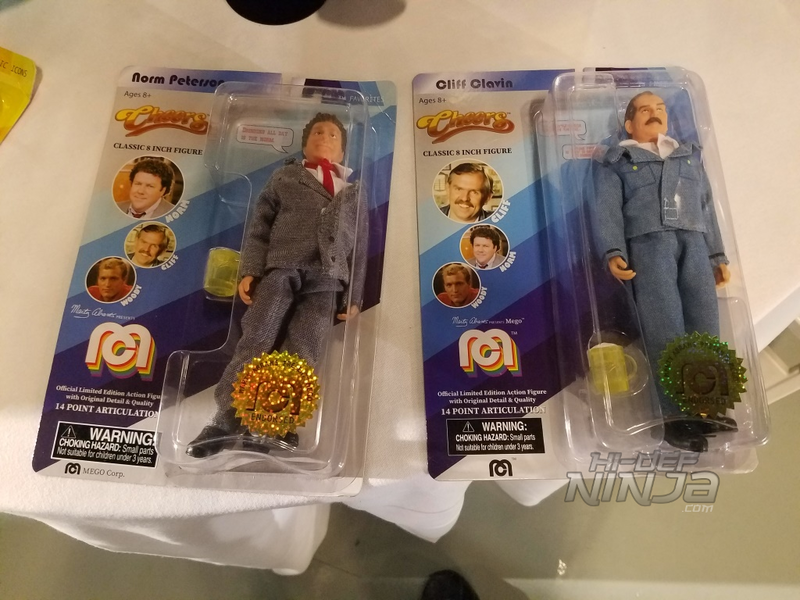 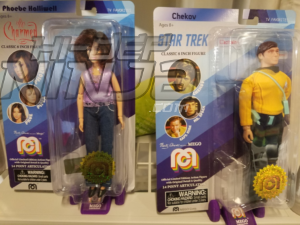 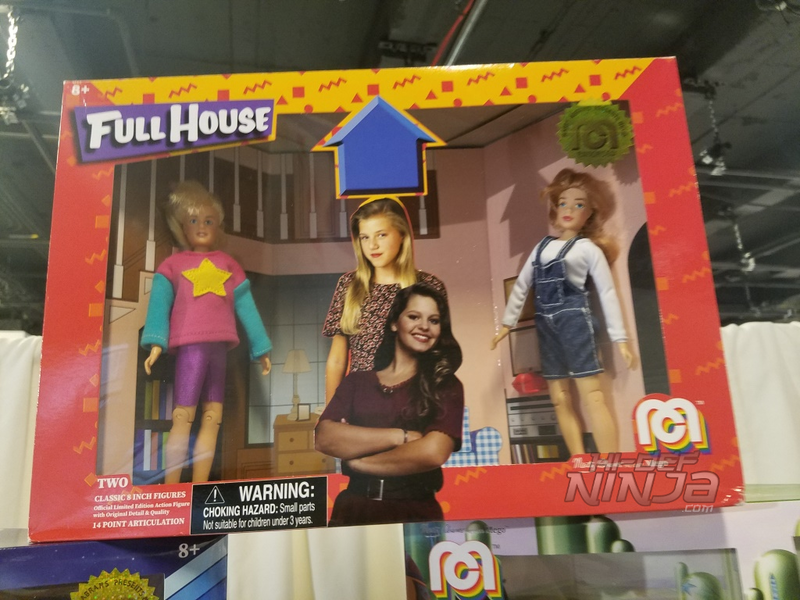 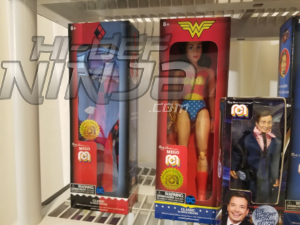 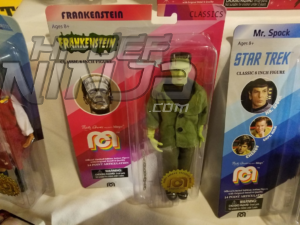 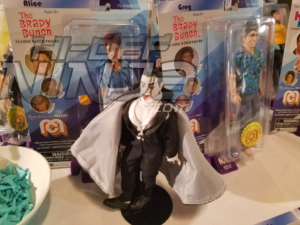 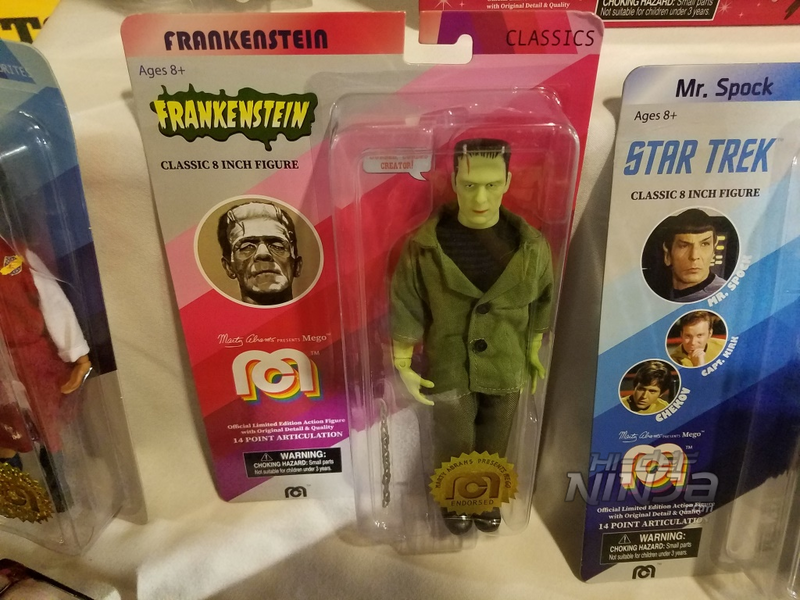 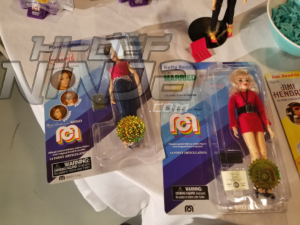 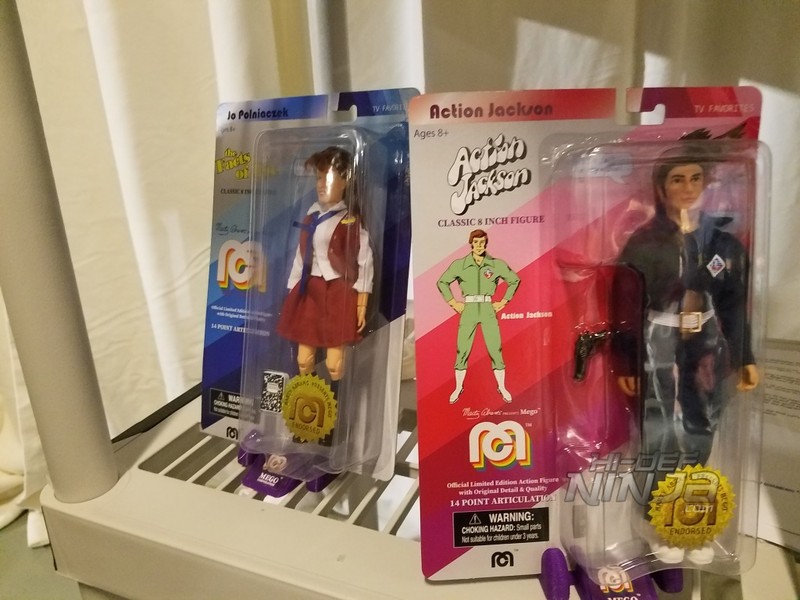 The figures which range in price from $14.99 to $19.99 and up will be sold exclusively at target and cover a wide range of classic TV shows from Star Trek, Married with Children, Brady Bunch, Cheers, I Dream of Jeannie, and more. 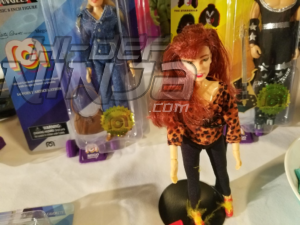 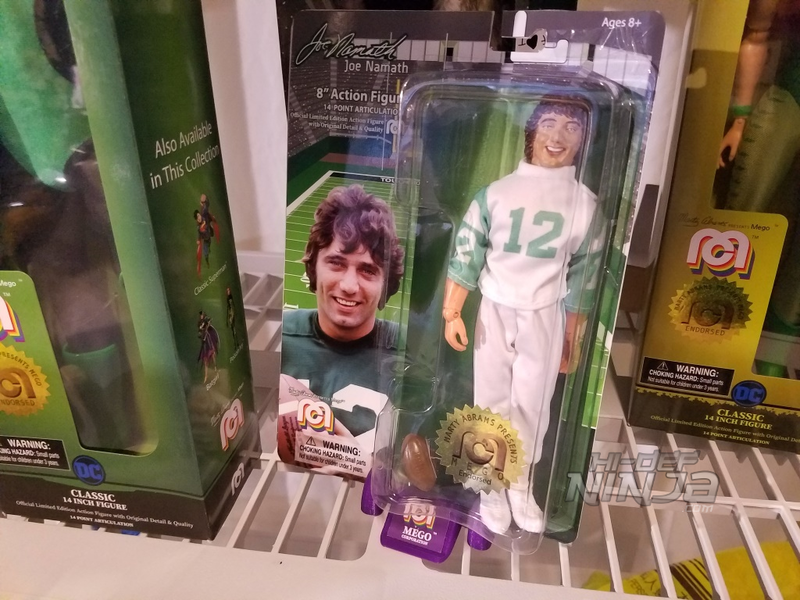 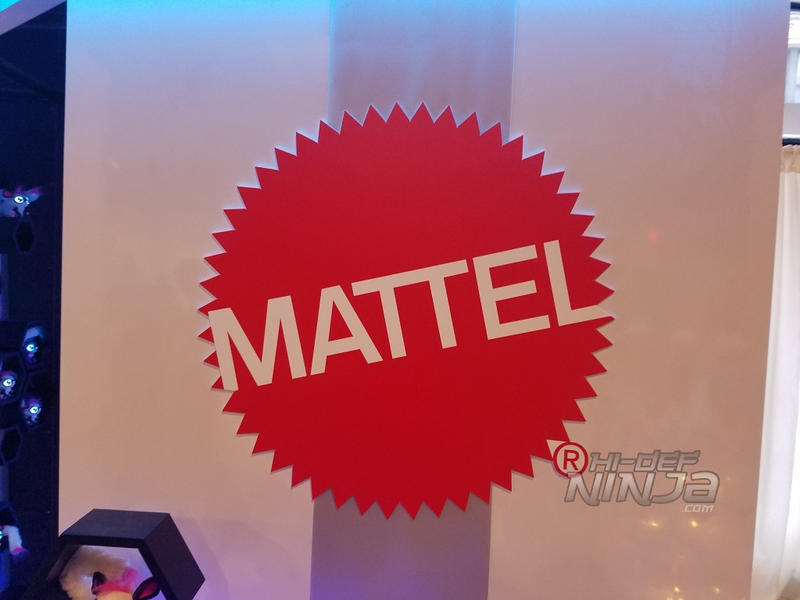 Mattel had products from a wide range of their lines. 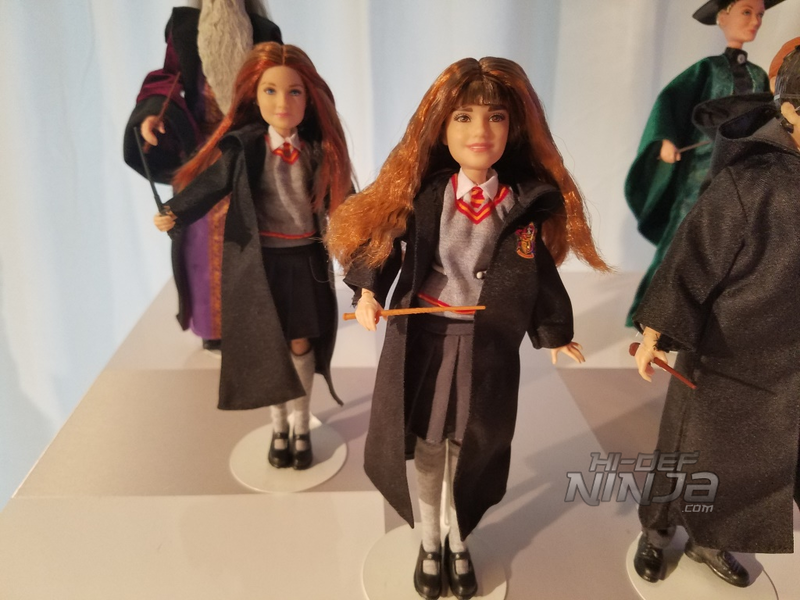 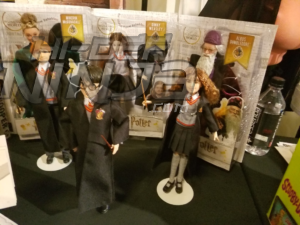 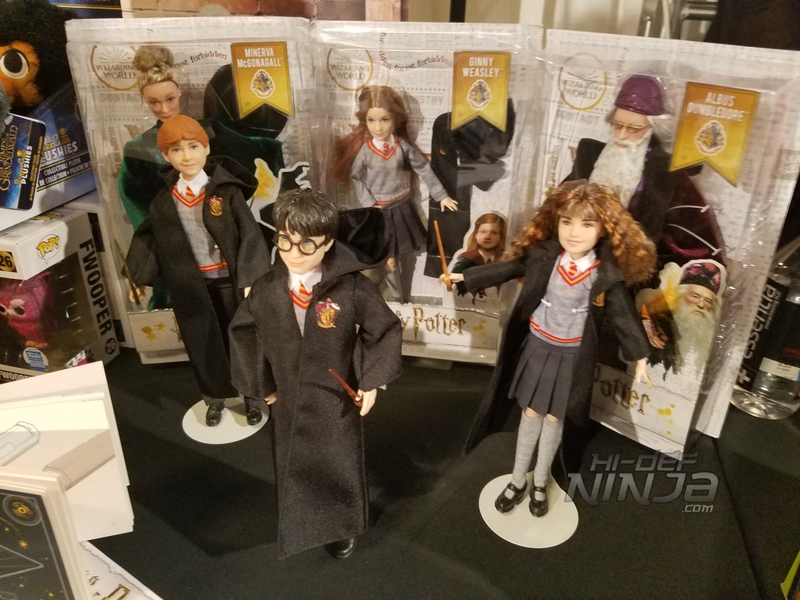 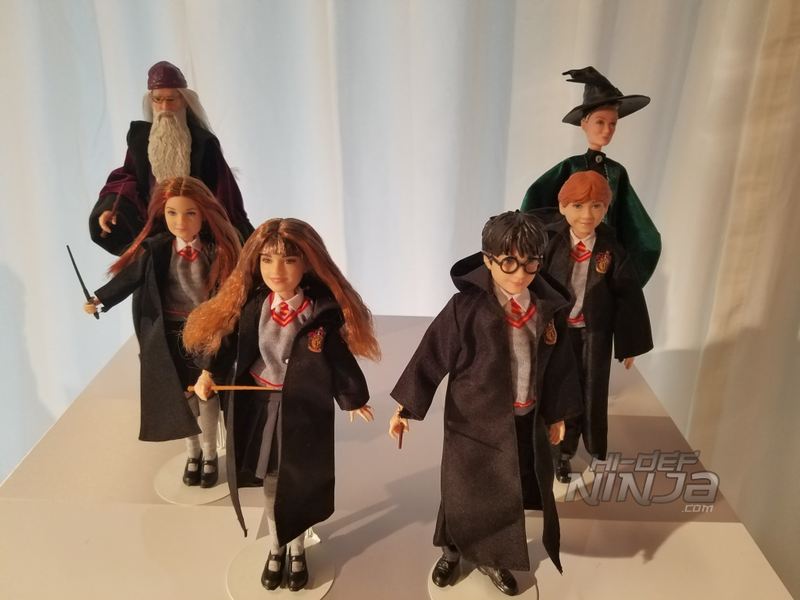 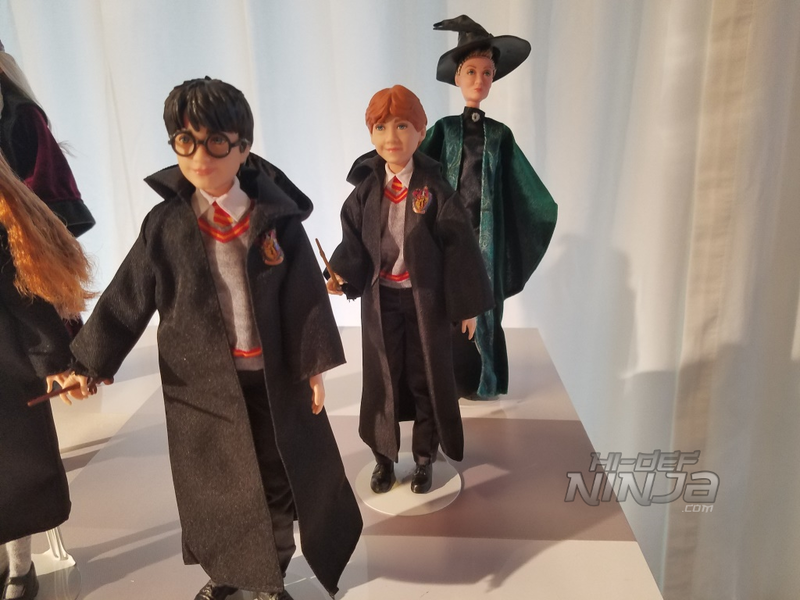 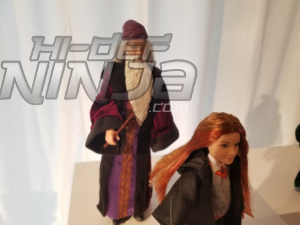 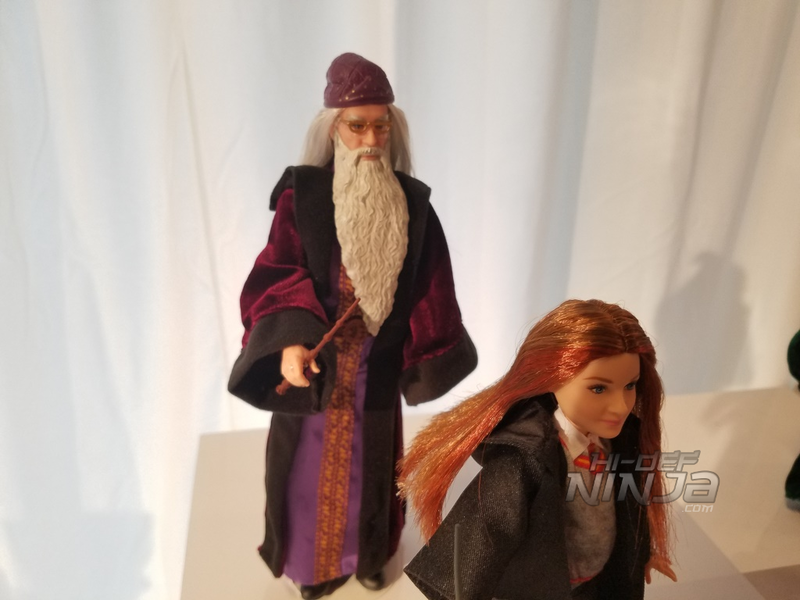 The big standouts however were the Harry Potter dolls featuring Harry, Ron, Hermonie, Ginny, Dumbledore, and McGonagall. 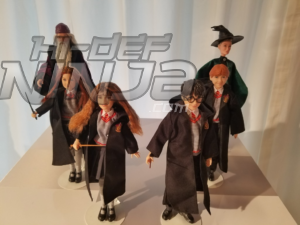 Fairly detailed with cloth clothing and articulation these are a nice addition to the Harry Potter collection. 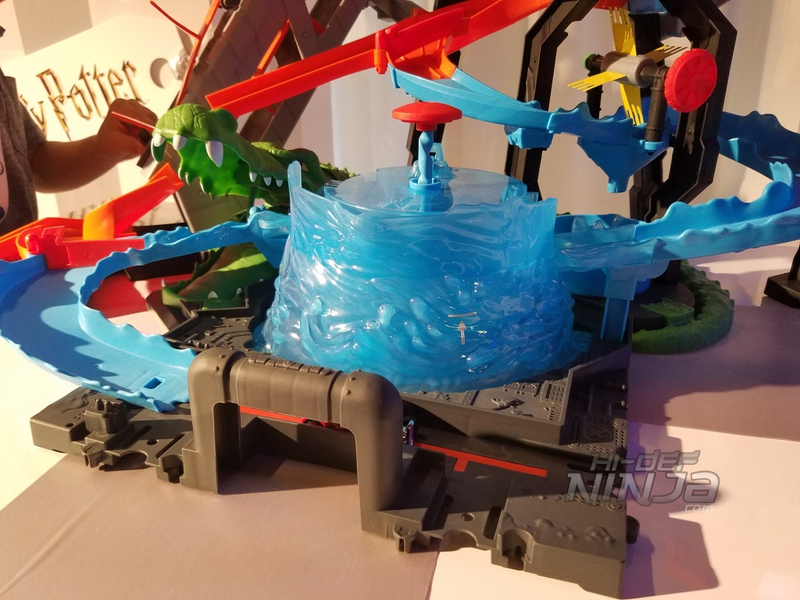 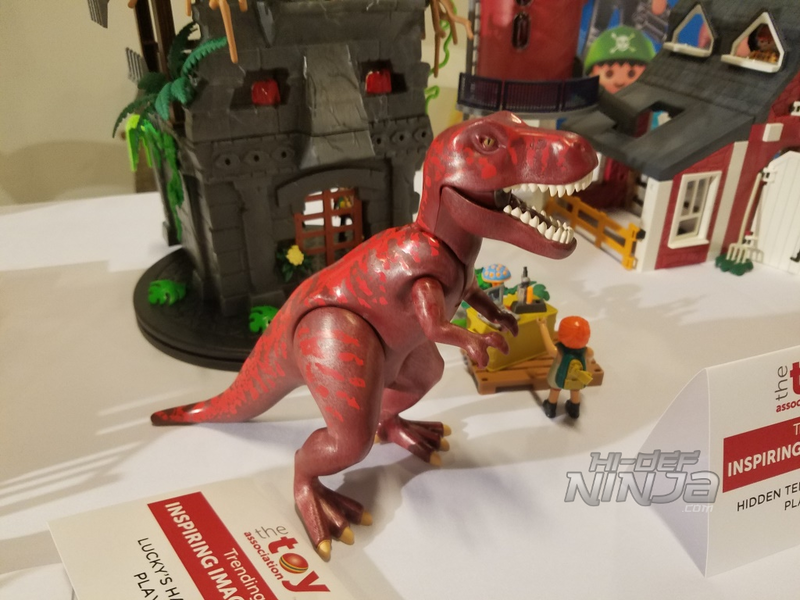 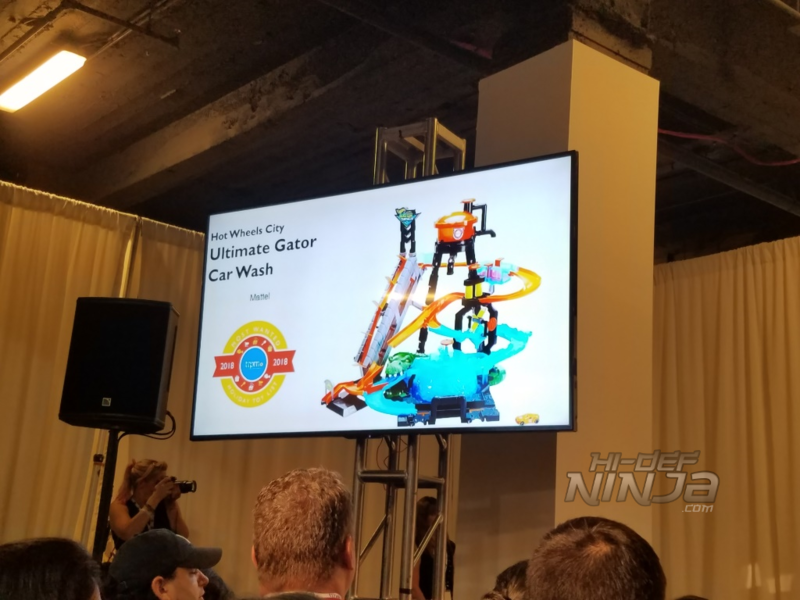 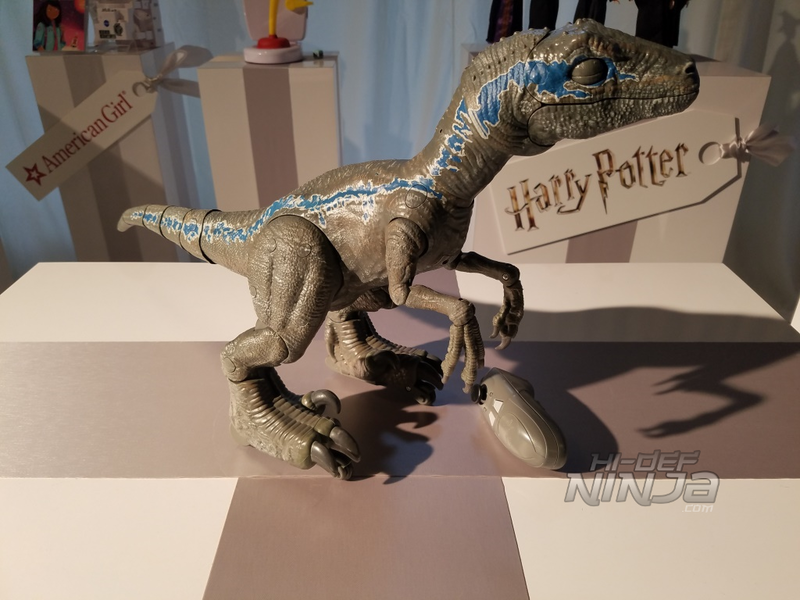 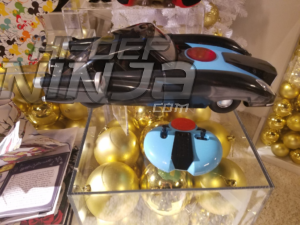 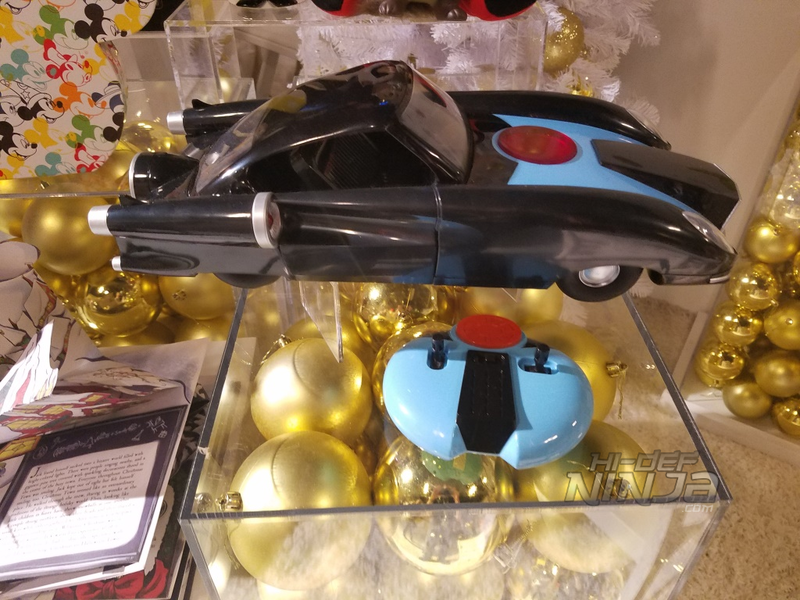 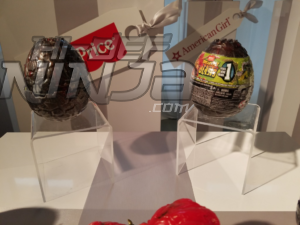 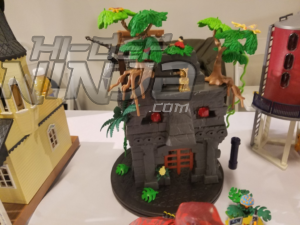 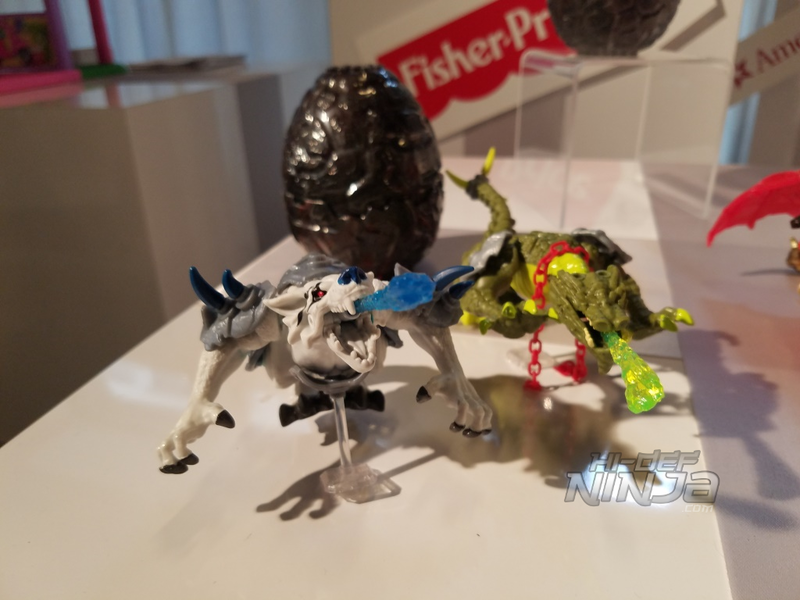 Also on display were Jurassic World remote control Velociraptor announced earlier this year, the Hot Wheels Ultimate Gator Car Wash a ttpm Holiday choice, Mega Construx, and more. 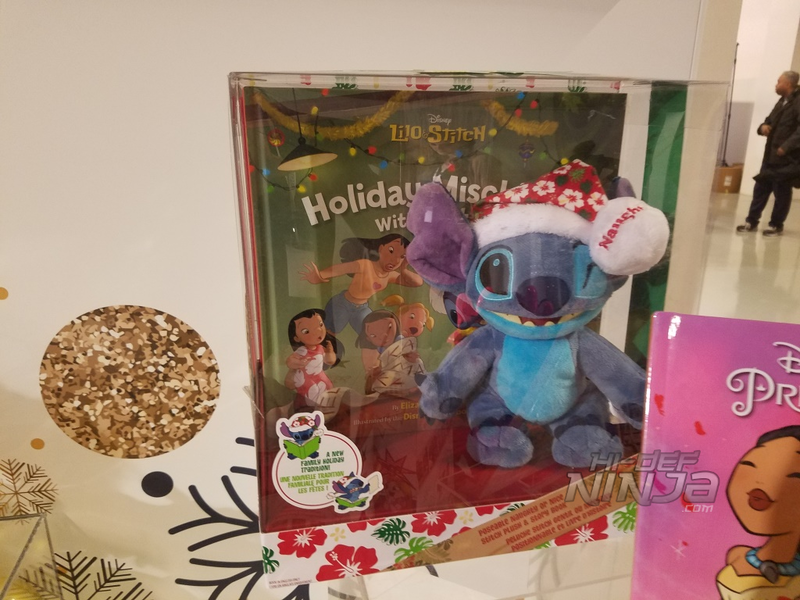 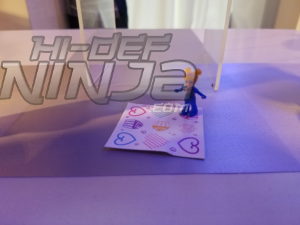 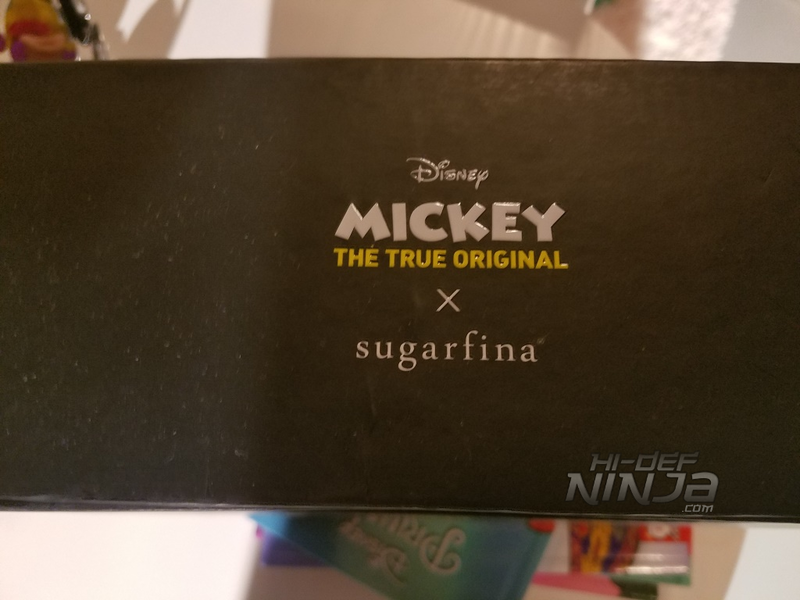 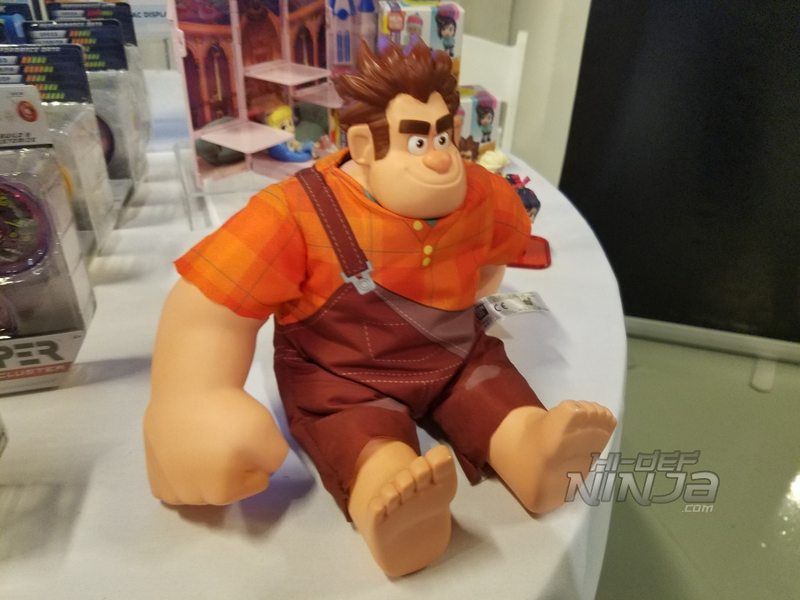 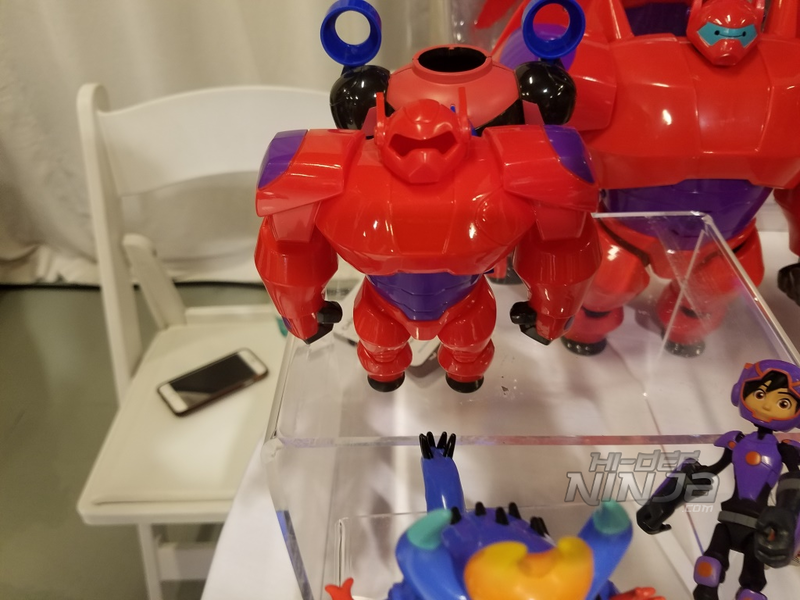 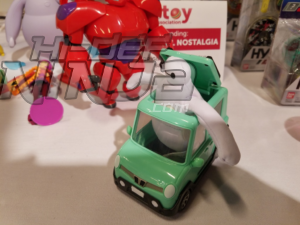 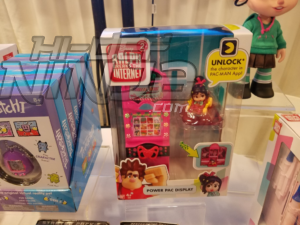 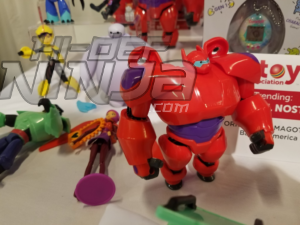 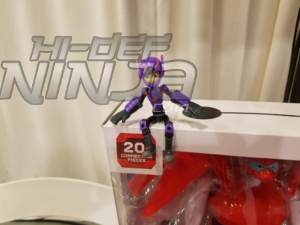 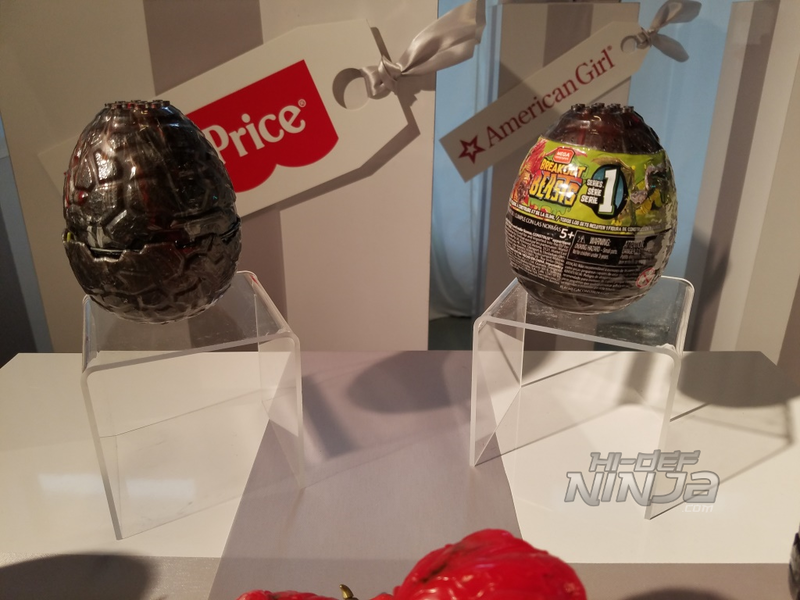 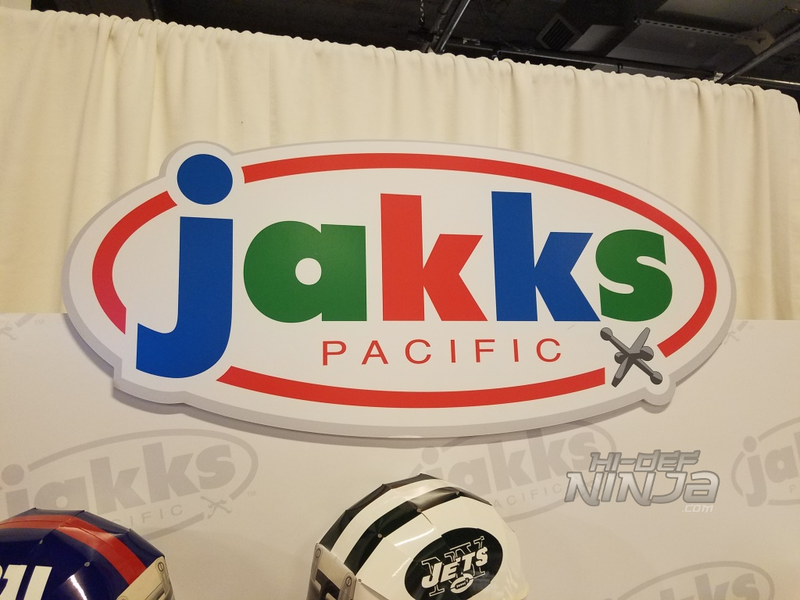 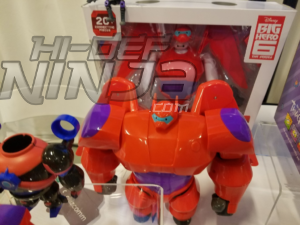 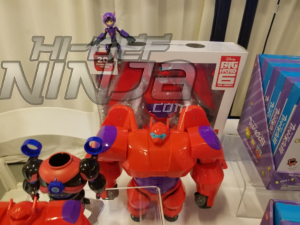 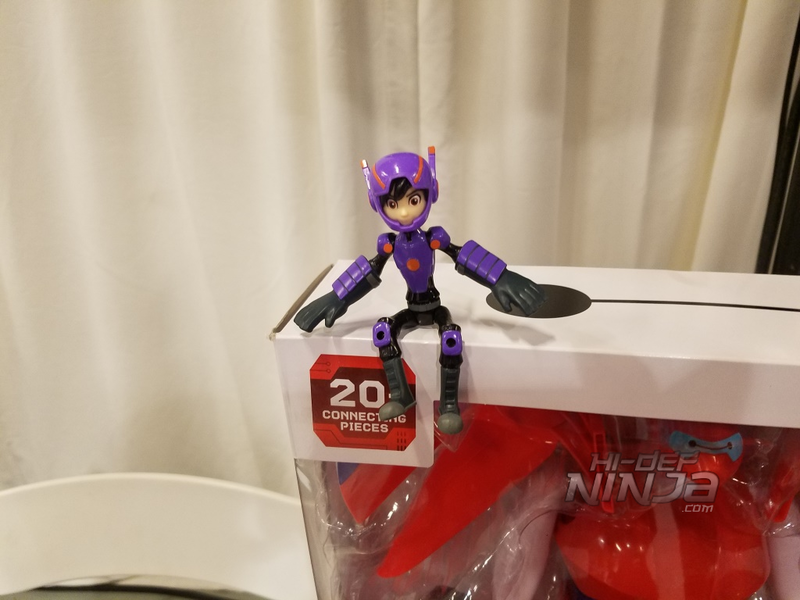 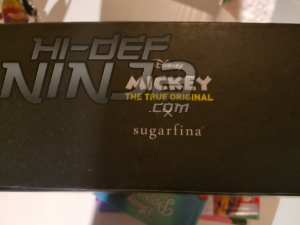 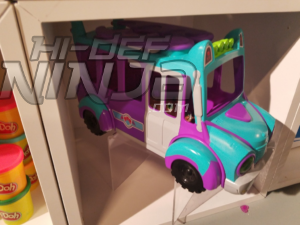 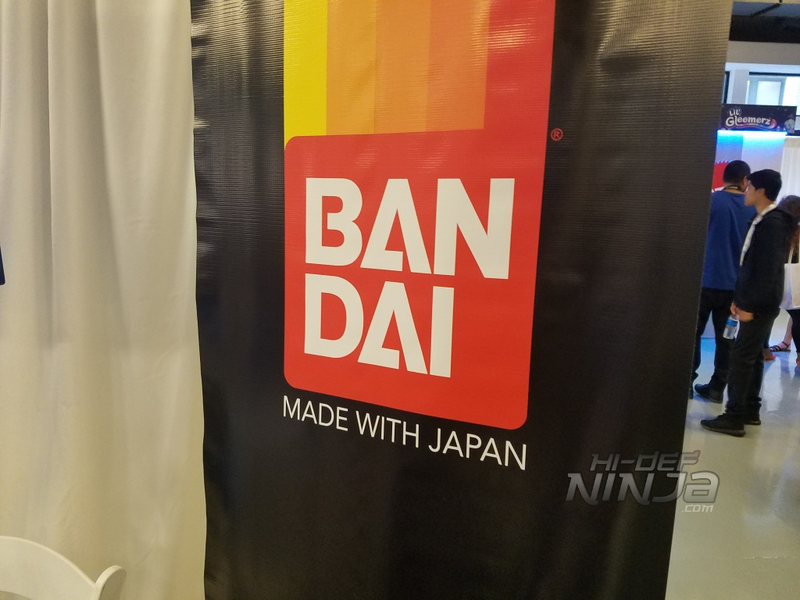 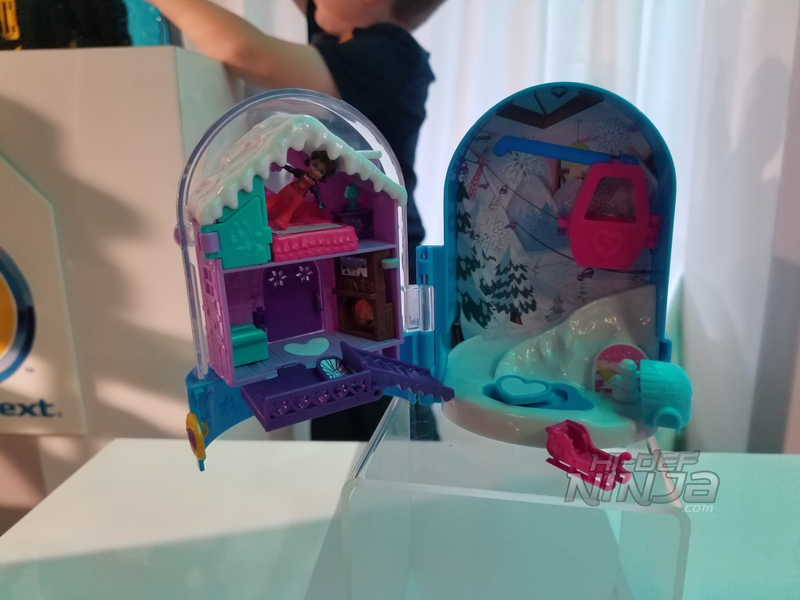 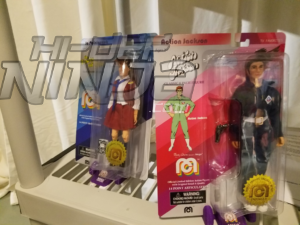 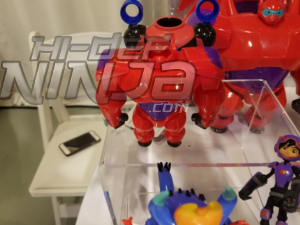 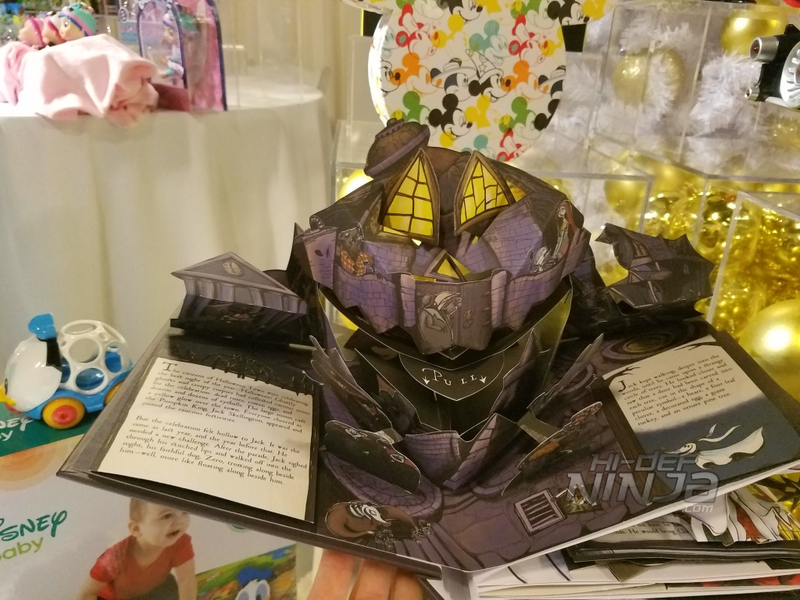 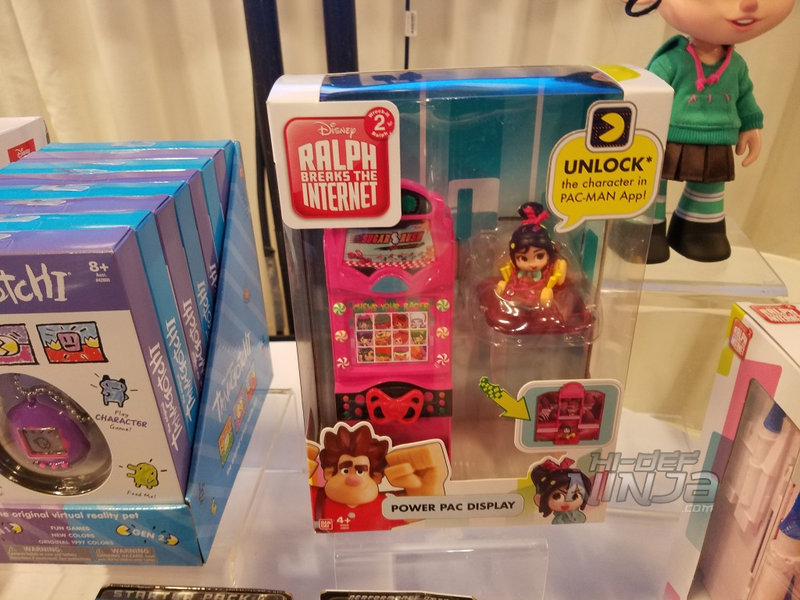 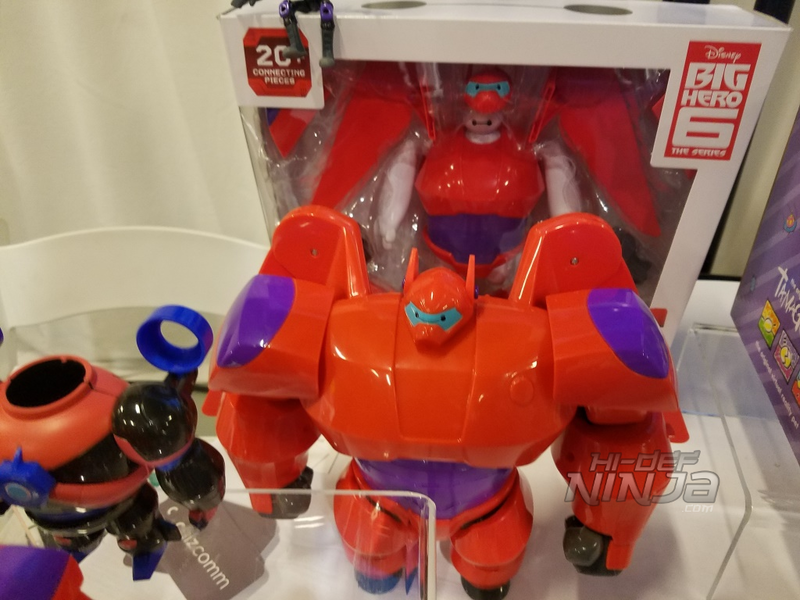 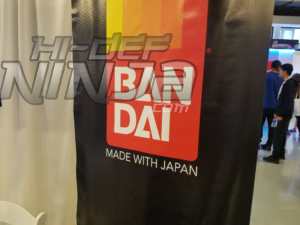 On top of a bunch of Big Hero Six Products including the really cute Squish to Fit – a Baymax squeezable bean plush figure that can be squished into his red armor suit, his underwater armor or a mini version of Wasabi’s car Bandai had a lnew line of Disney’s Ralph Breaks the Internet products. 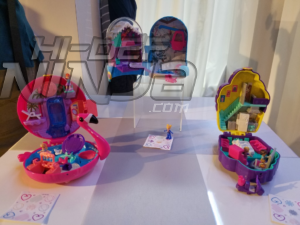 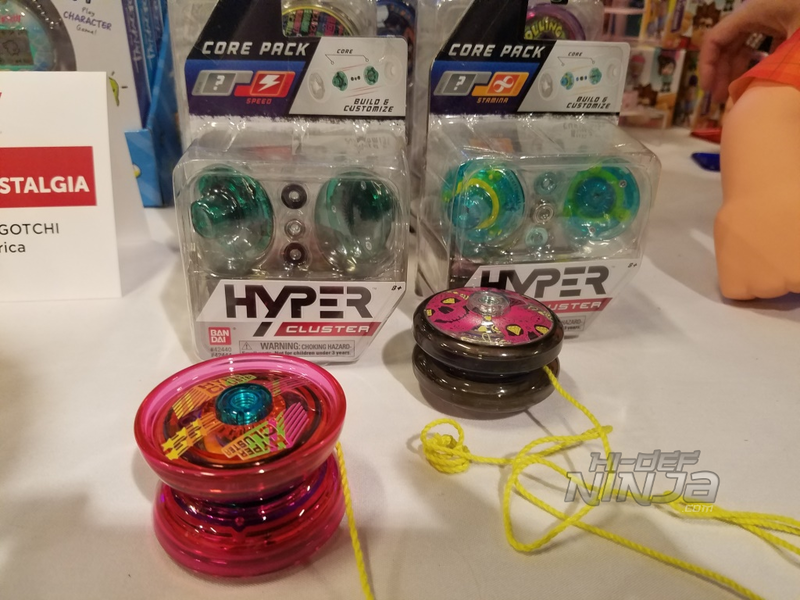 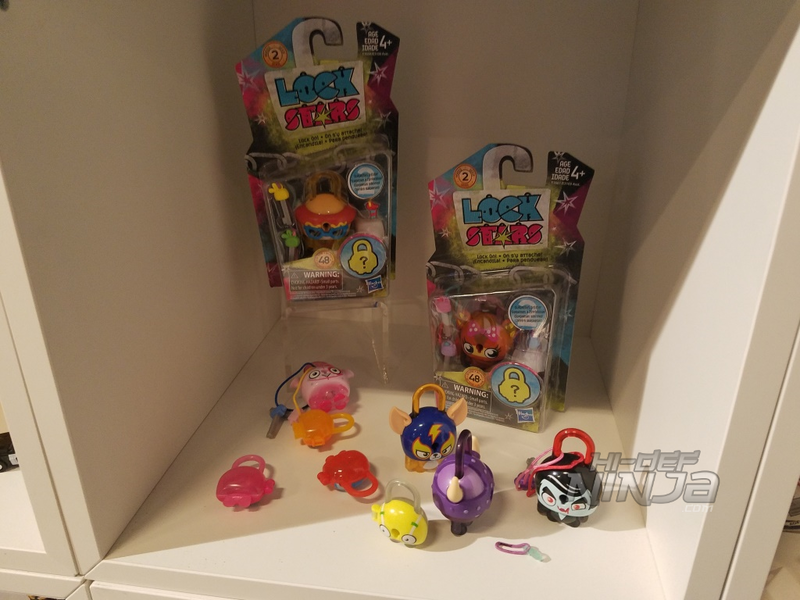 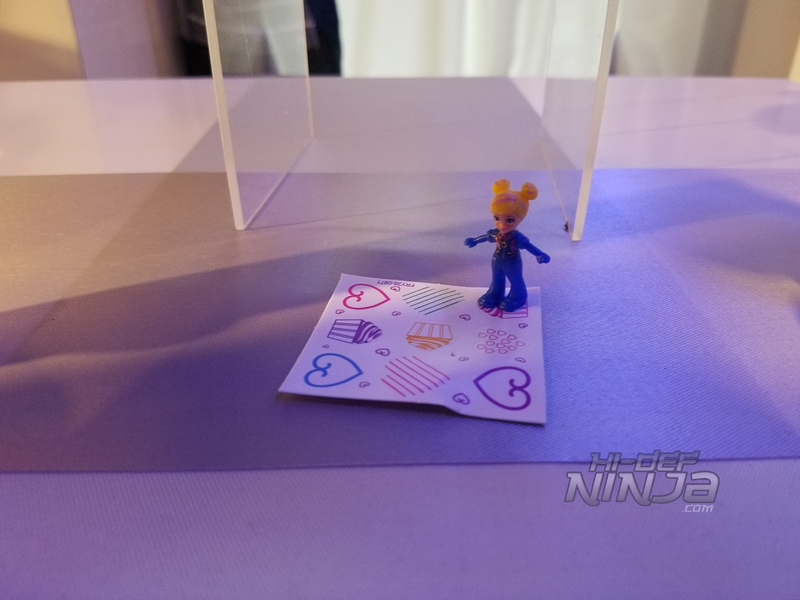 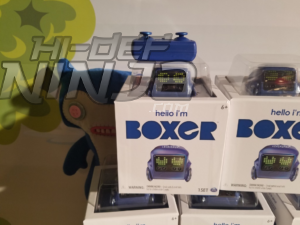 Bandai also had a retro feel with a original Tamagotchi and their new yo-yo system Hyper Cluster. 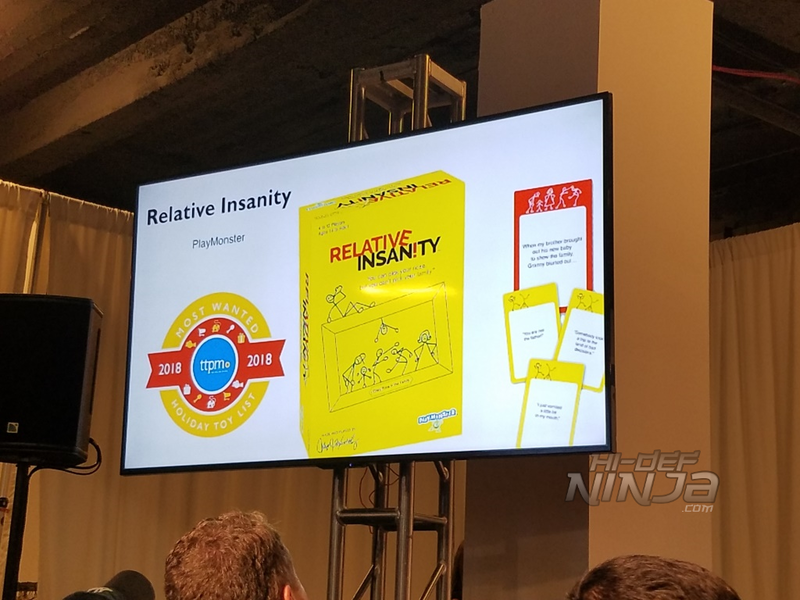 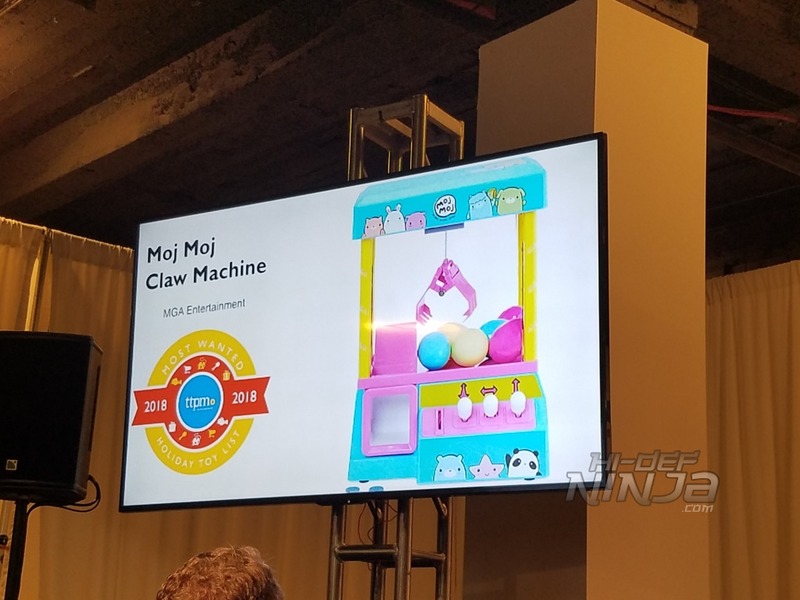 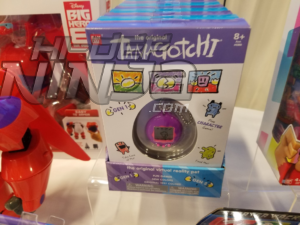 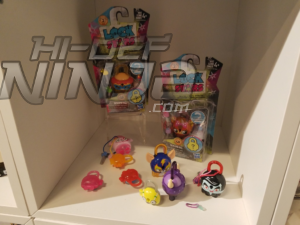 The Tamagotchi, available in 16 different styles and equipped with the original programming,will have up to seven different types. 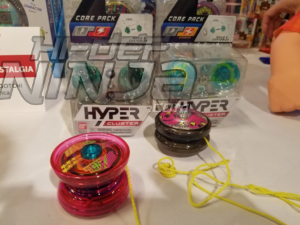 The Hyper Cluster yo-yo system allows users to customize their yo-yo to match their style and performance needs. 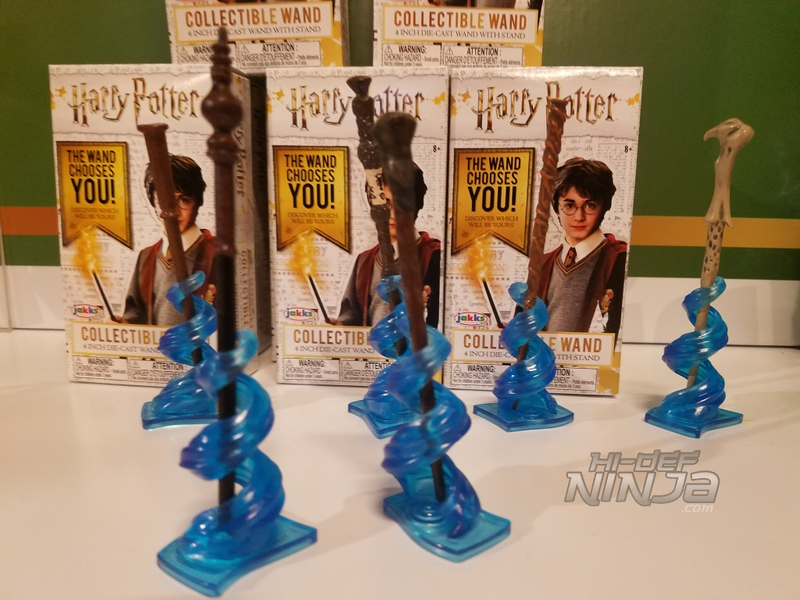 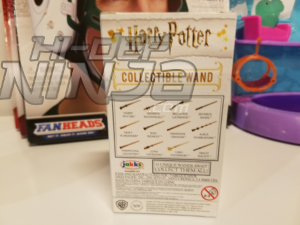 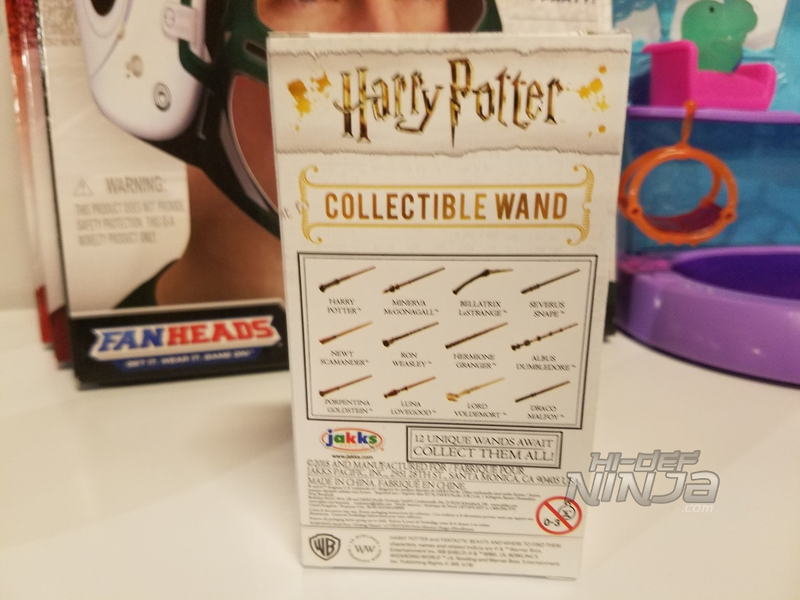 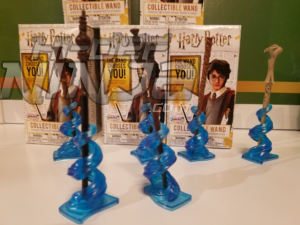 My new favorite obsession has been found from Jakks Pacific with their 4’’ die cast blind box Harry Potter wand collection. 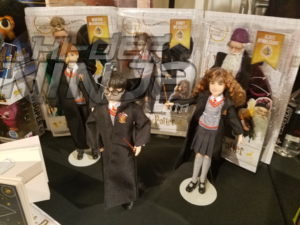 Series 1 which is already out contains 12 characters including fan favorites Harry, Hermonie, Ron, Draco, Dumbledore, Voldemort, and even Newt. 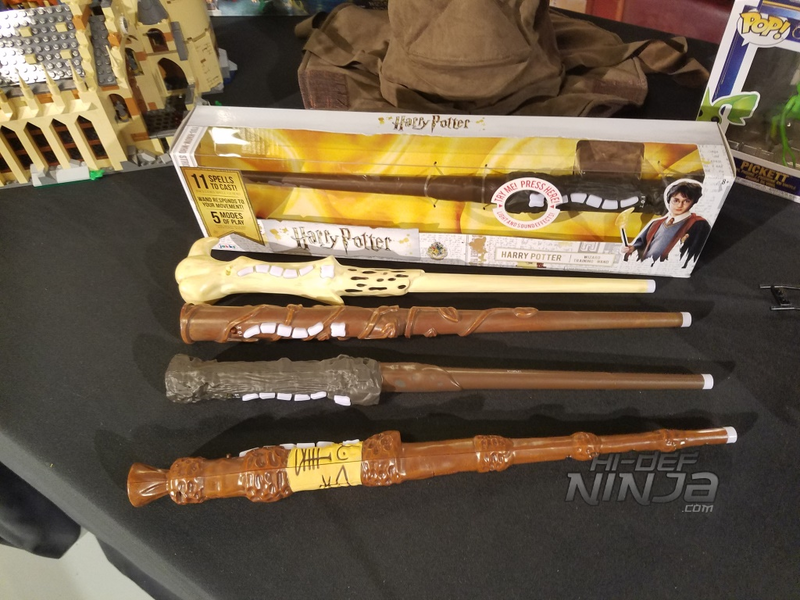 They also had Harry Potter Wizard Training Wands. 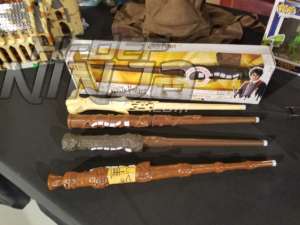 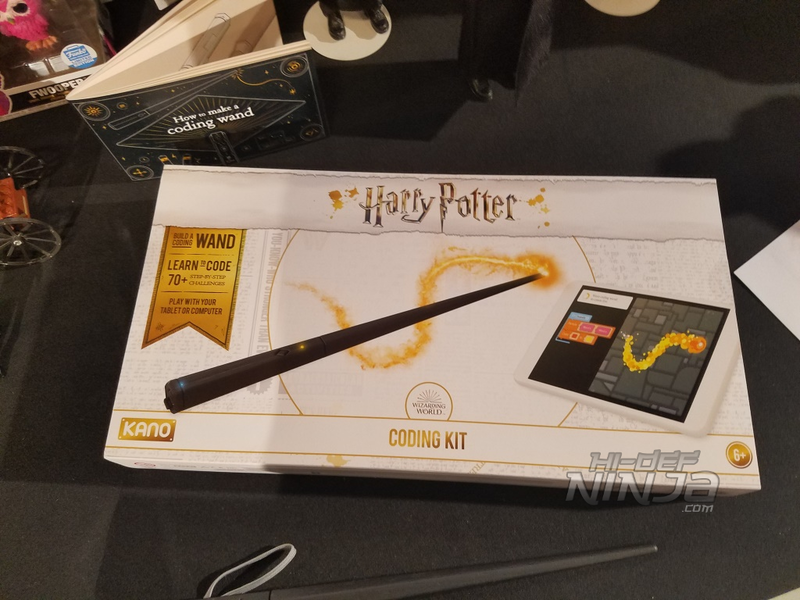 Each retailing for $29.99 the wands allow kids to train like a Wizard containing 11 different spells and five modes of play by recognizing movement to know when kids have cast their spells. 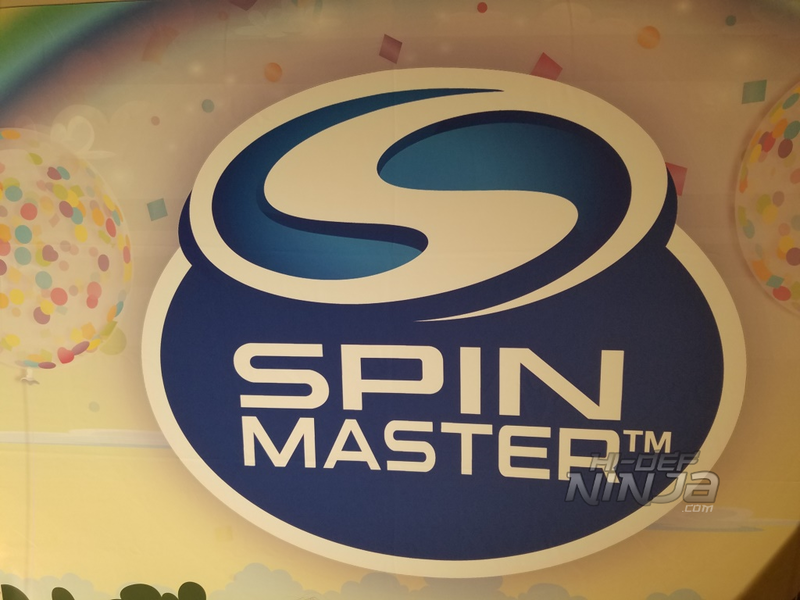 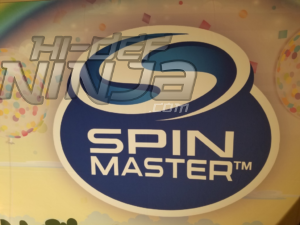 Spin Master always have a wide array of products. 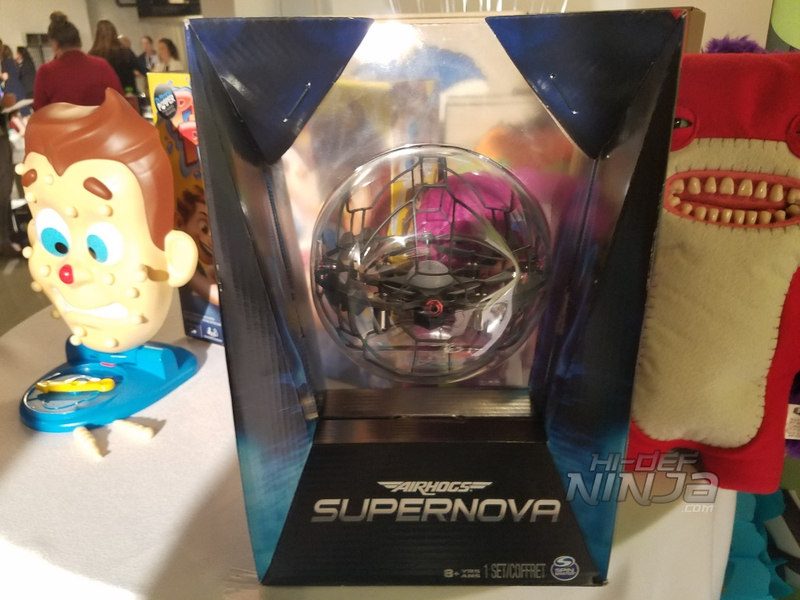 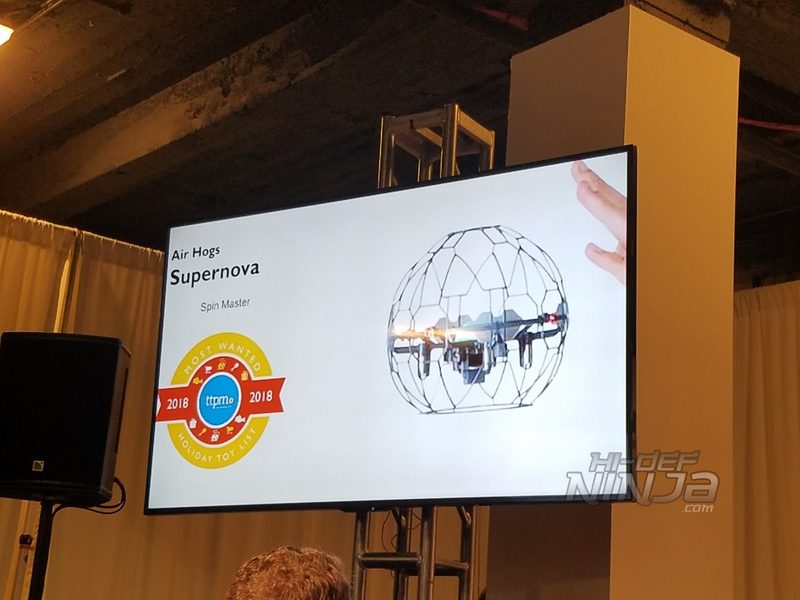 Their Air Hog line continues to amaze this time with the Supernova a remote control-less drone that uses hand gestures to control; at $39.99 it’s a really cool piece of tech that also made ttpm’s top holiday item. 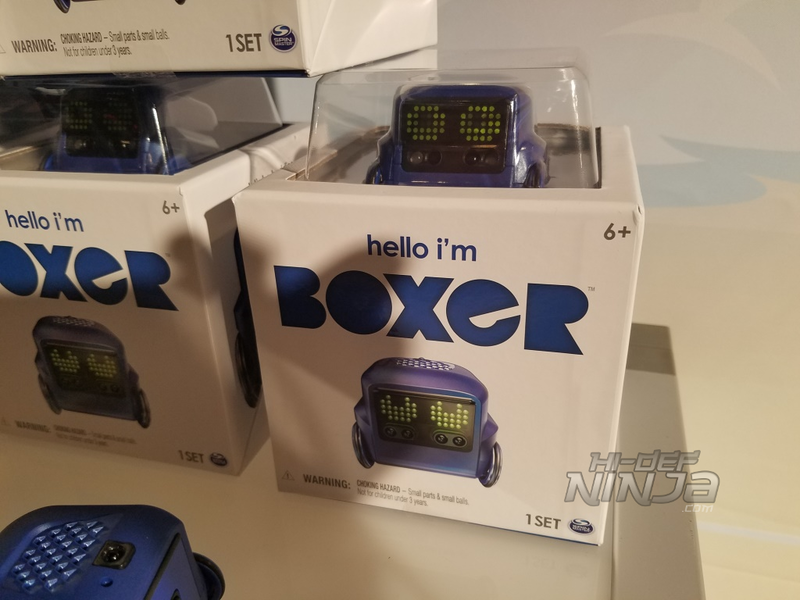 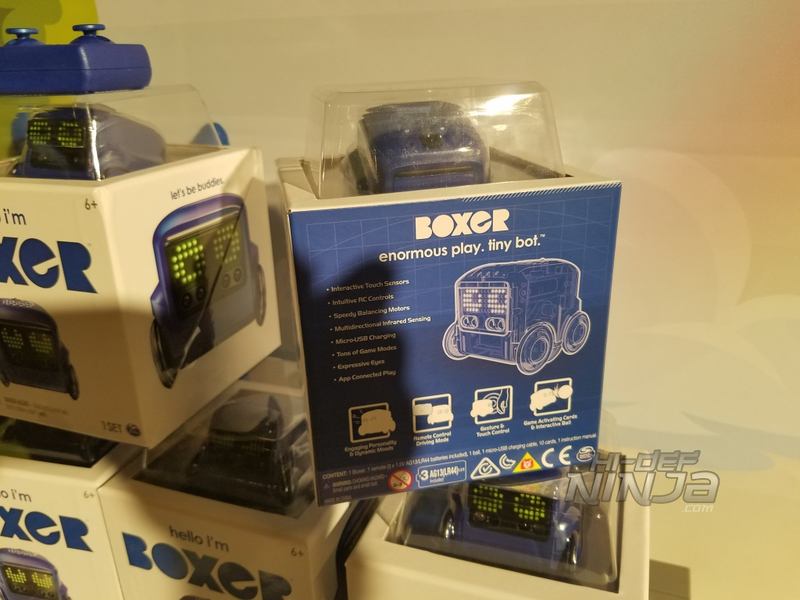 Also on the tech side the Boxer – Interactive A.I. 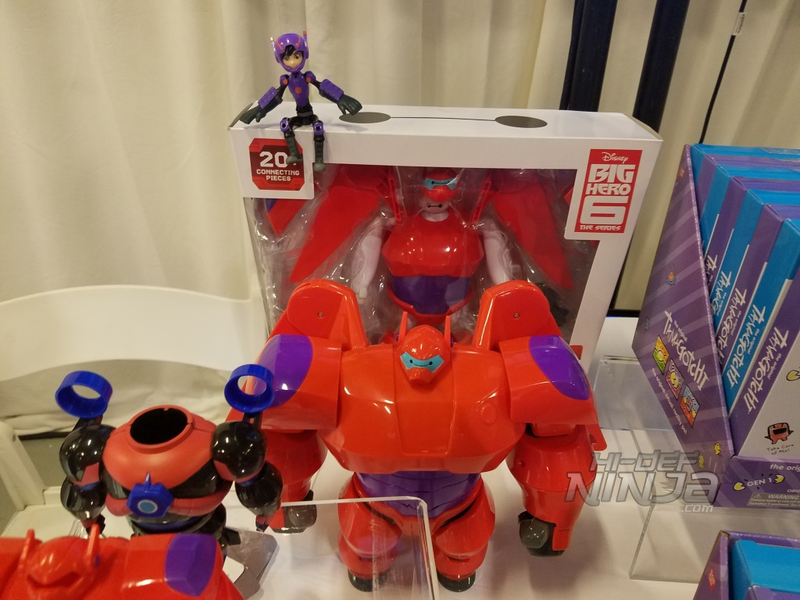 Robot Toy is the perfect robot pal. Already assembled and ready to play Boxer works by rolling over and scanning cards Boxer responds to the queues. 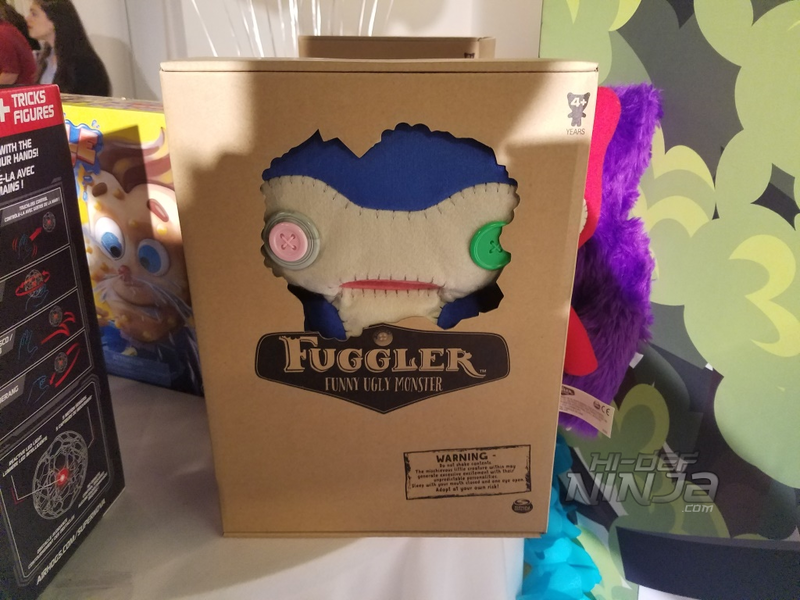 Finally and not on the tech side is Fuggler the Funny Ugly Monster; an outgrowth from an Etsy shop item, that got picked up by Spin Master. 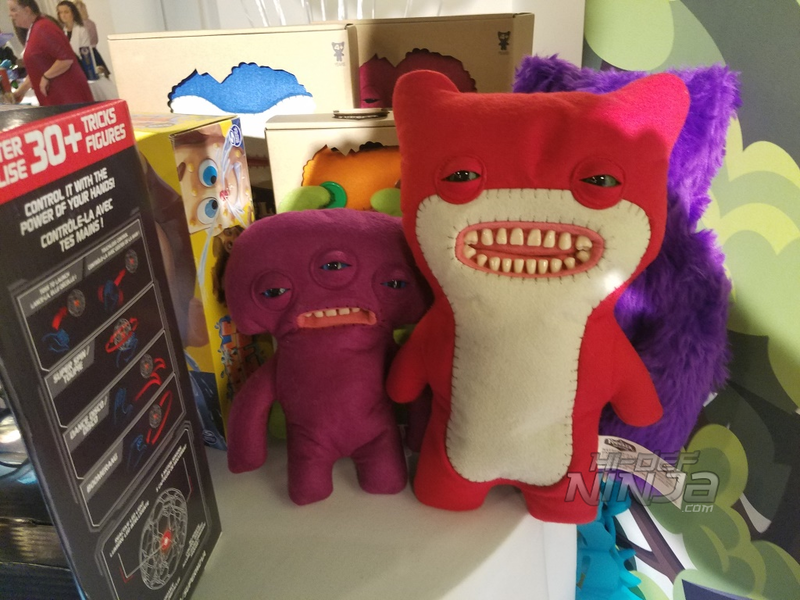 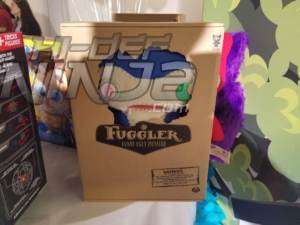 Adopt any one of the 40 Fuggler’s at your own risk! 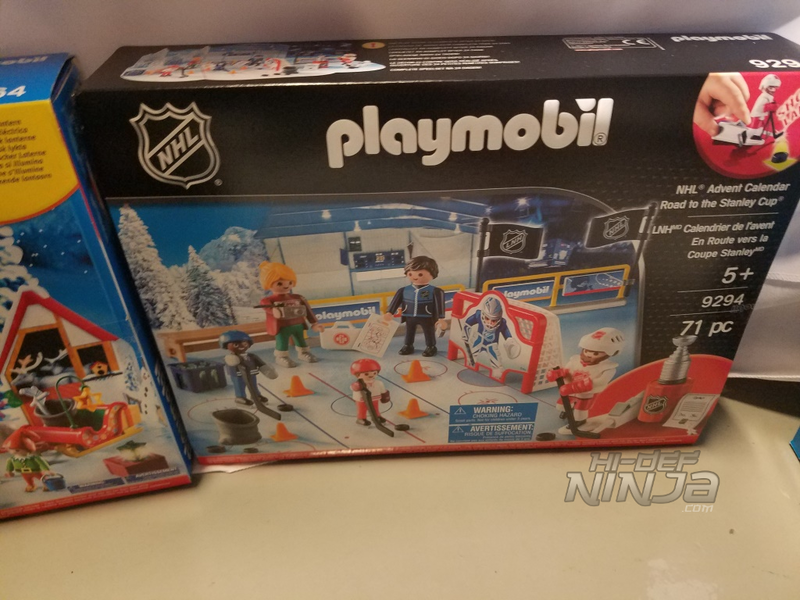 Playmobil produces miniature figures in multiple themes continues to produce quality kids products. 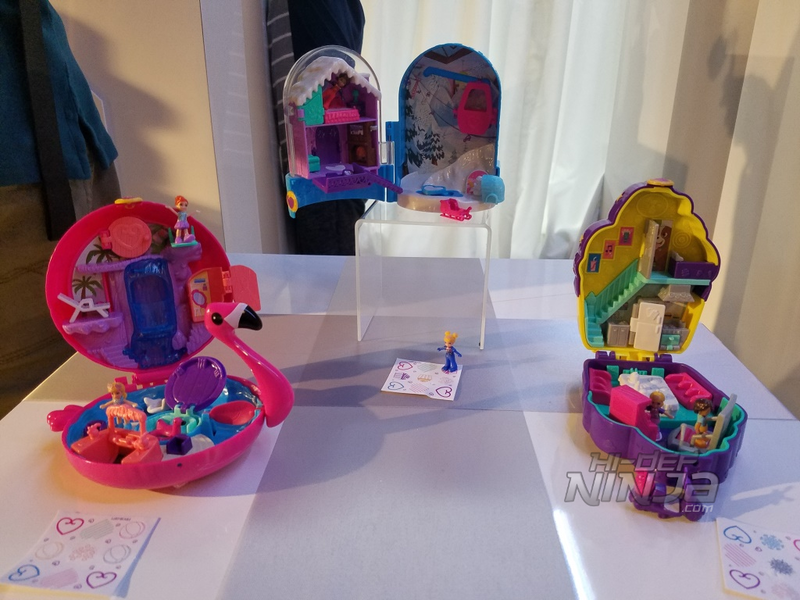 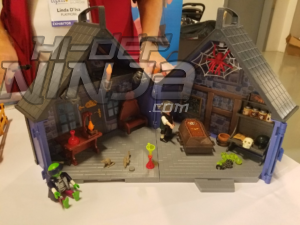 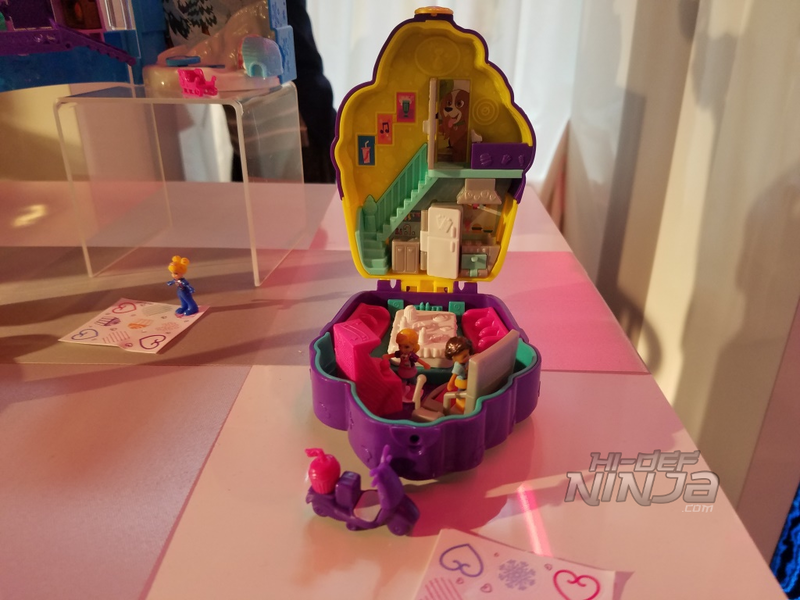 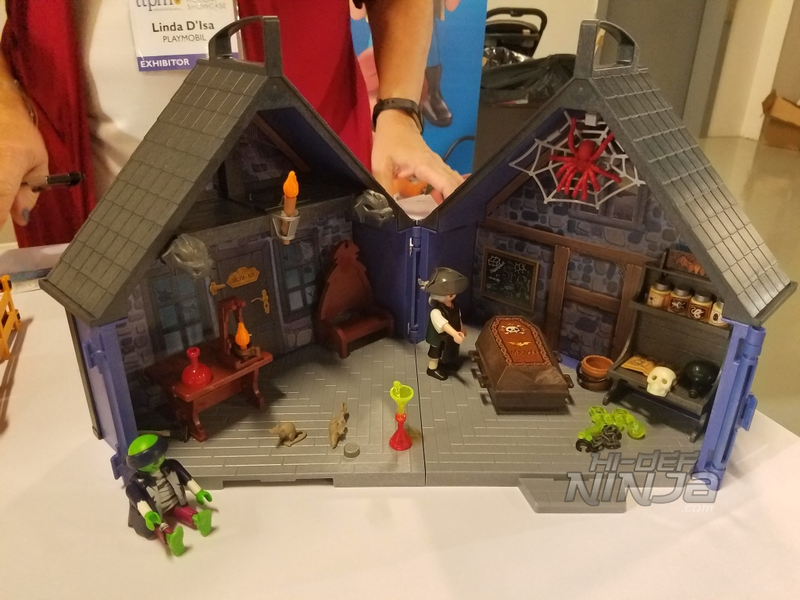 Less emphasis placed on licensed figures this show however they had a really neat Take Along Haunted House a fun travel set the folds for on-the-go play featuring a scientist mixing potions in his lab, a coffin for the vampire to sleep in, or the large spider descending from above. 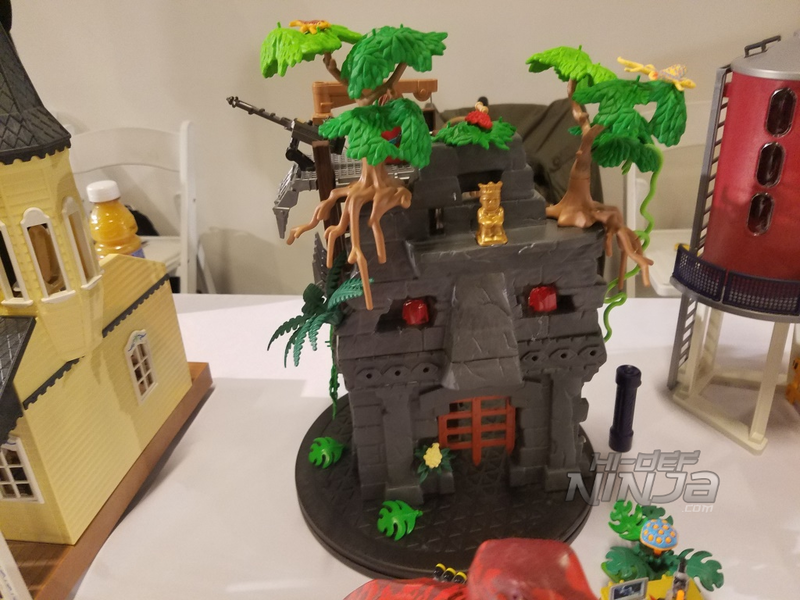 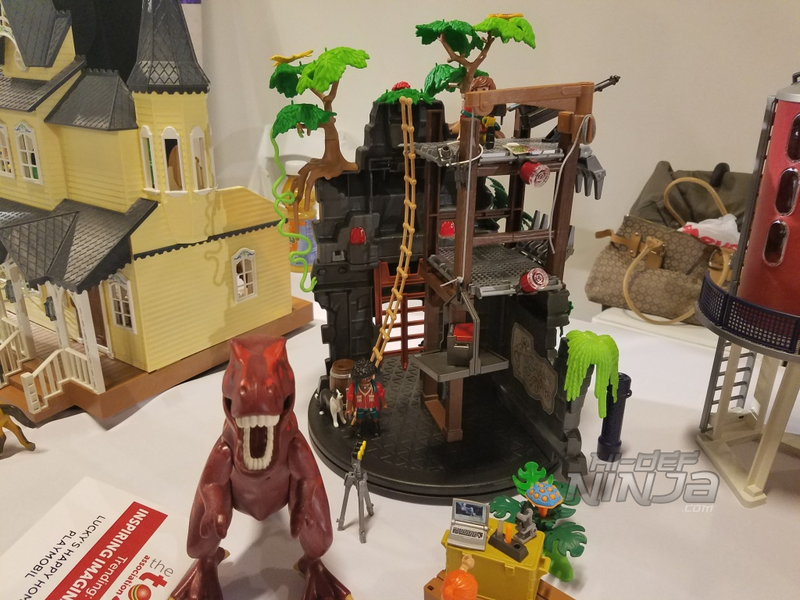 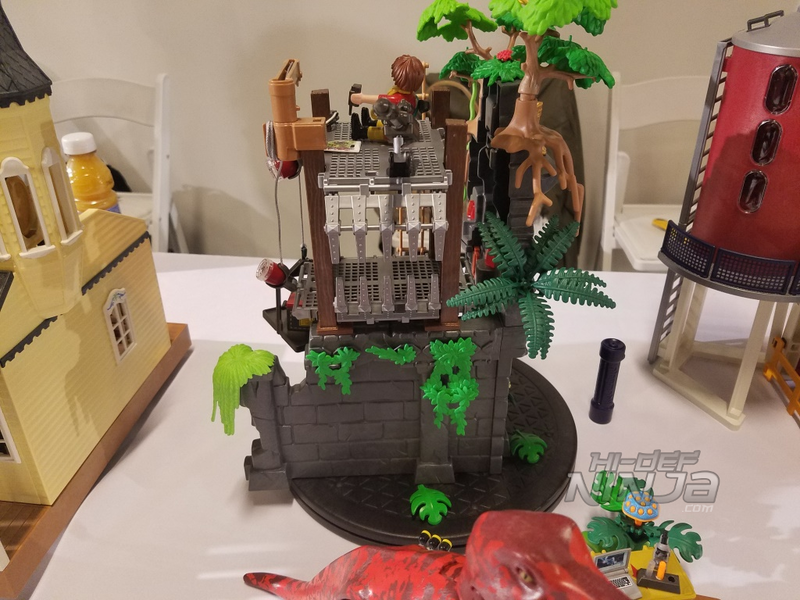 Also on display were Lucky’s Happy Home a two story ranch home from the Lucky & Spirit line and the Hidden Temple with T-Rex Building Set.